This is a tribute to Superman Unbound. Superman is pretty powerful, but he doesn’t have the raw power needed to take on a rubber man like Luffy. Luffy has his Gear 2 and his speed is also pretty intense. This is one match that I don’t think he can win. Superman falls down the ranks with this loss, but he’ll be back. Luffy wins. This entry was posted in Battles, Luffy Battles, Superman Battles, Tribute Battles and tagged Luffy, Superman by dreager1. Bookmark the permalink. Superman is easily faster and stronger than luffy. 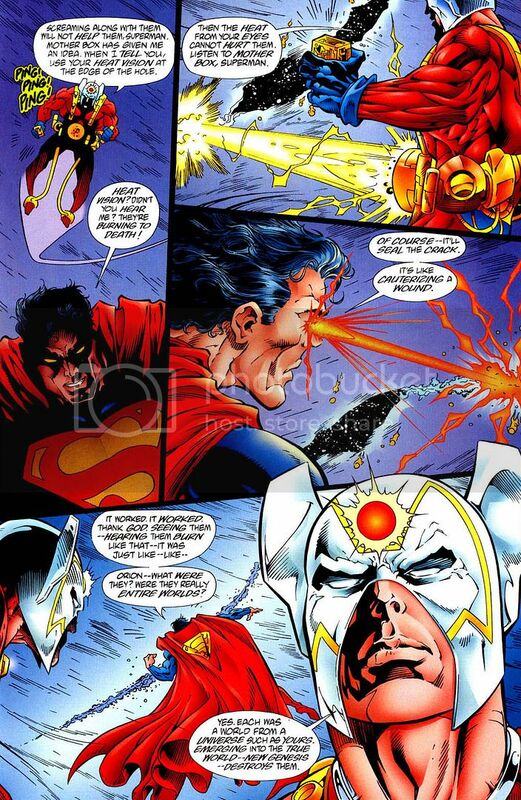 Superman also has the advantage in long range because of his heat vision. 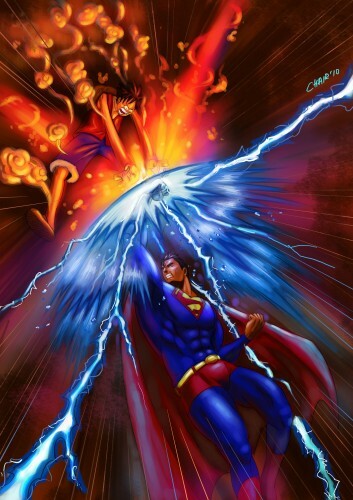 Luffy may be able to tank supermans punches and possibly hurt superman, He won’t be able to survive giant lasers hotter than the sun, or superman just flying into space where luffy can’t get to or survive. Speed advantage? 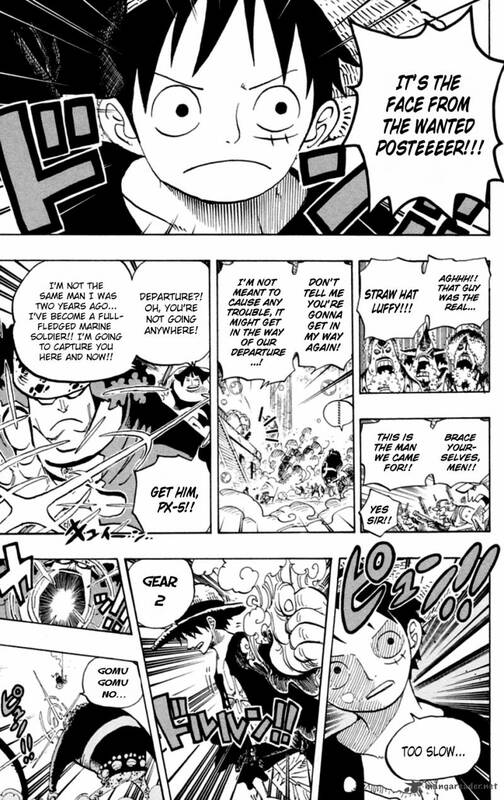 Luffy is, at most, massively hypersonic to relativistic speed. 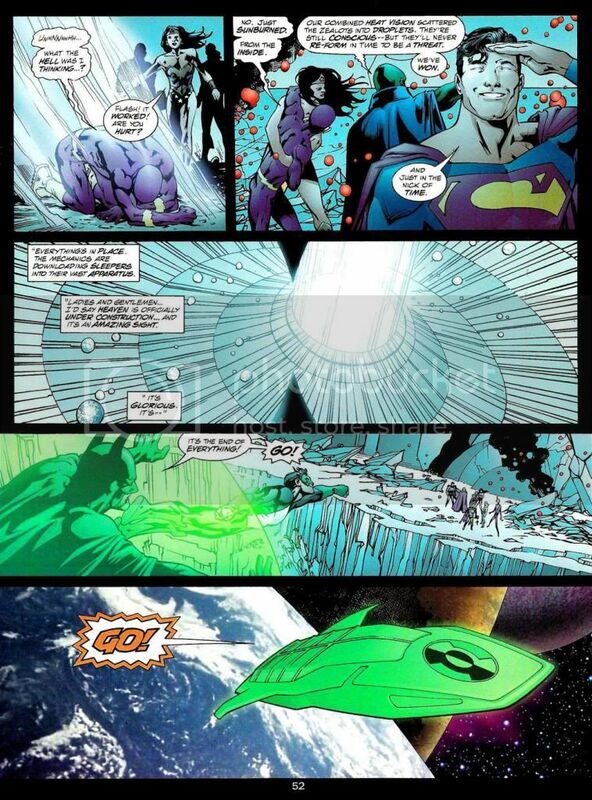 But superman is FTL. He can easily speed blitz luffy. His fight with lucci proved nothing. Both luffy and lucci are massively hypersonic, but nowhere near light speed. 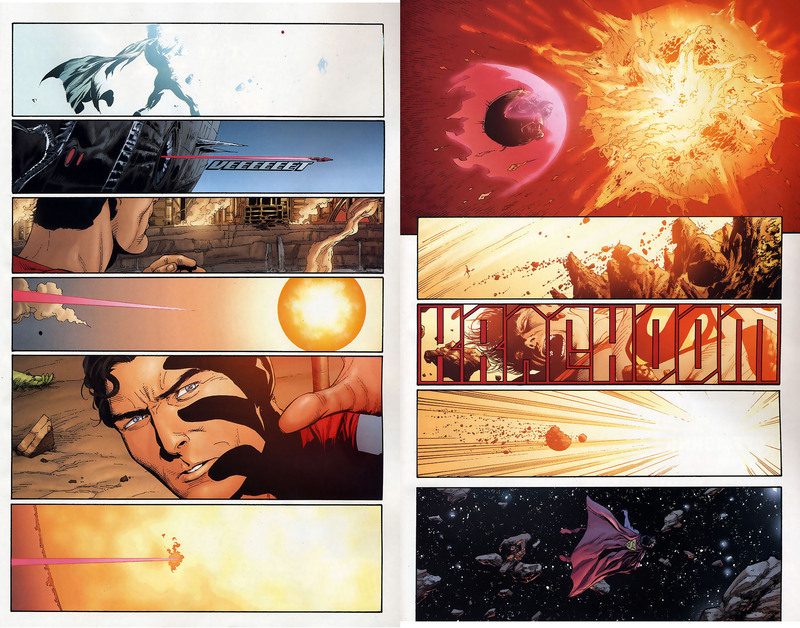 Superman can easily shatter planets with a single punch and can travel from earth to the sun in seconds. Luffy is nowhere near that level of raw speed and strength. And if luffy were to try and grab superman, he can just vaporize his hands with his heat vision which is hotter than the sun. If you can argue that luffy is both light speed and has greater durability than superman, then where is your evidence? Putting aside that you are clearly a weeaboo, you are an awful debater. This character wins because he is clearly stronger because I said so. I doubt that you understand the concept of lightspeed and the fact that while you are moving that fast you can’t be observed by a naked eye. For someone who brags of finding ”feats within feats” you show no evidence of any of them. Where is it mentioned that he moves in lightspeed? Don’t show me a panel where he moves fast, show me the exact measurement. 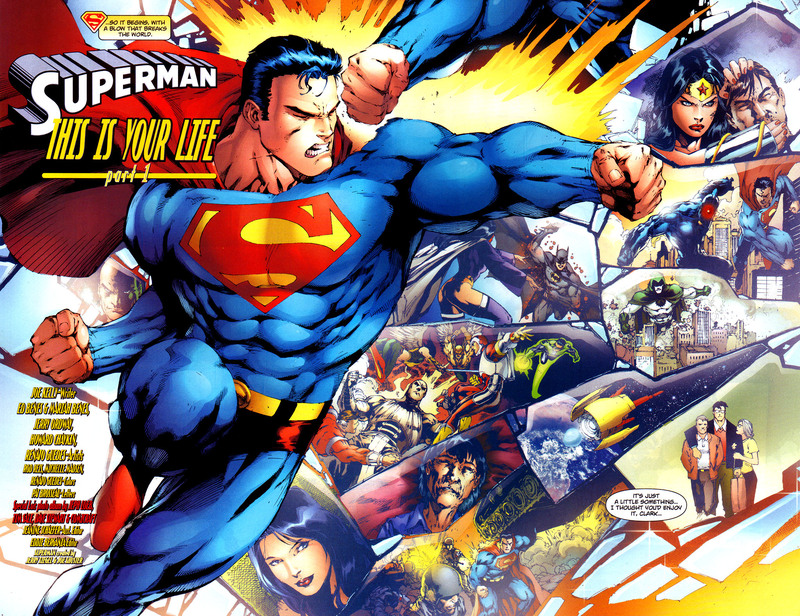 Superman is faster than the speed of light, he has been measured in the comics and that has been stated multiple times. It is one of his greatest feats. So far, you provide no feats except assumptions that are, in debate, worth jack. 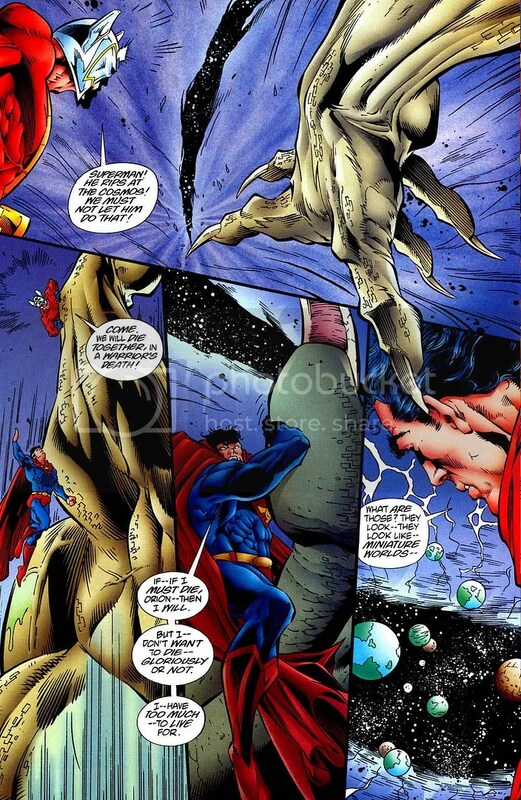 Regarding durability, here are Superman’s feats: he took a point blak supernova to the face and remained in one piece(pun intended), for someone who talked about Superman being ”beaten by the Elite” it is funny that you forgot to mention the power of the blast he took on the moon and remained completely unscratched, he took the full force of two planets colliding on top of him and remained unscratched, he held a black hole in his hand and he takes omega beams that erase you completely without them having any effect on him. And how is this? Because not only is Superman absurdly powerful, but the is near impervious to harm. There are only two things that can harm him: magic and kryptonite, and before you spew nonsense again, devil fruit IS NOT MAGIC. Now, unless you claim that each Luffy’s punch is stronger that a supernova, note that a single punch that powerful would obliterate the planet, EVEN IF you don’t strike the ground. It is basic physics, though I am starting to doubt that you have even passed elementary school. Beside, then one shot characters would have to be tougher than the multitude of planets to endure such hits. 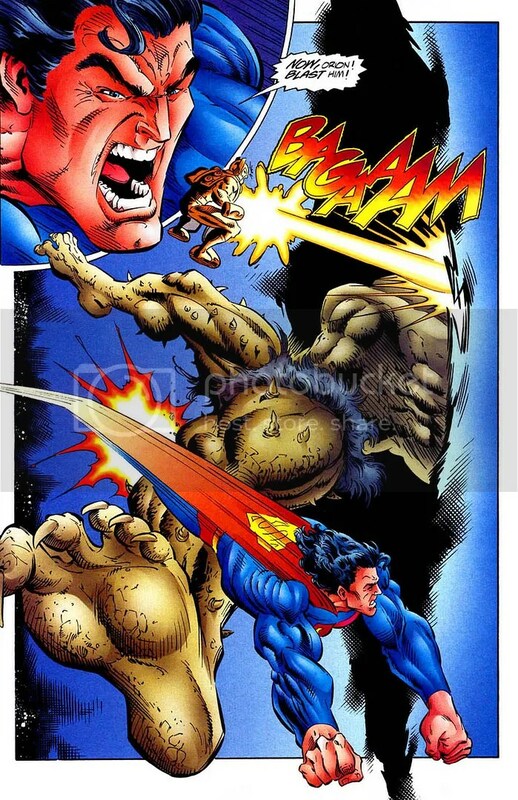 Superman does not have the raw power? 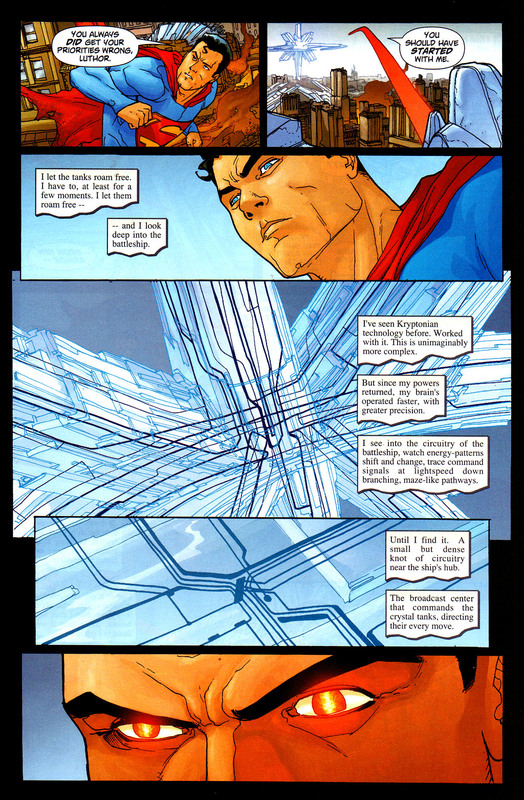 Superman is one of the most powerful characters in all fiction. There are only a handful more powerful characters than him, but those are different kind of powerful. 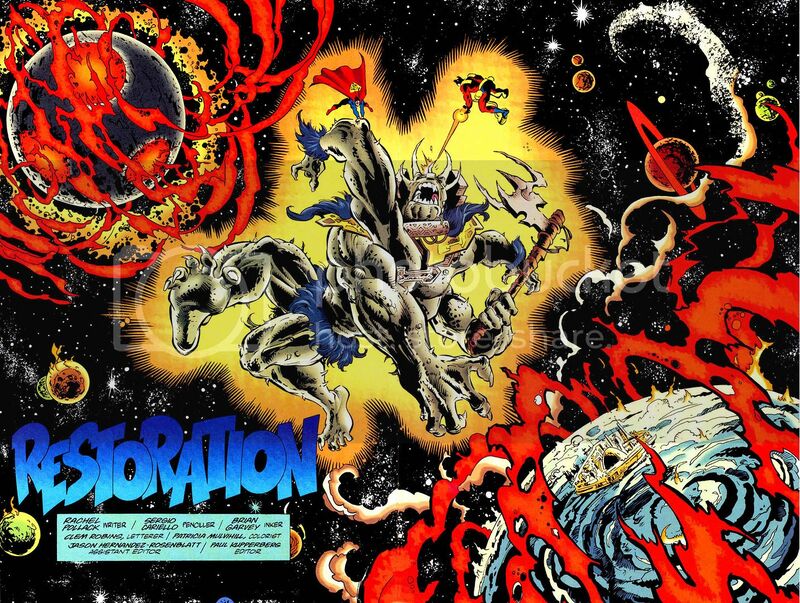 He can move planets around, he can punch a planet in half, phase through all attacks, warp reality with his static electricity and even obliterate a planet with his heath vision. 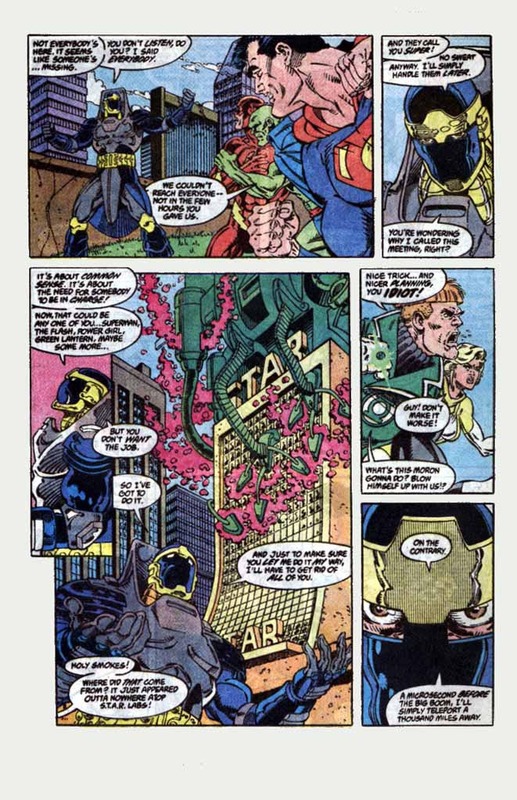 All of these are from the panels in the comics and all of them are canon. 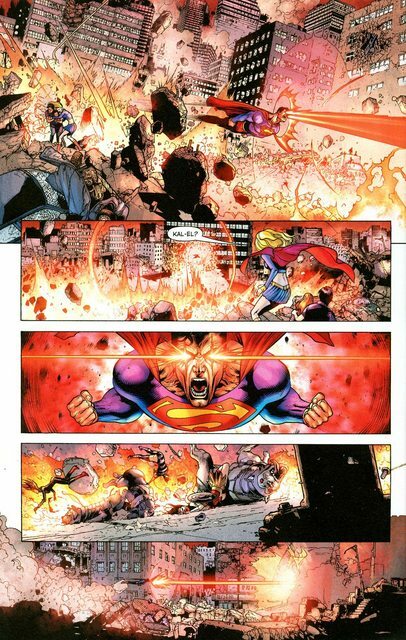 NOT TO MENTION THAT IT IS MEASURED COMIC FACT that Superman can lift three Earths without breaking a sweat.New 52 Superman has the ”Super flare” which unleashes a supernova blast from his eyes. When measuring power, if our sun would go into supernova, all planets to Jupiter would be completely destroyed, but no, Luffy can obviously take that. You fail as a debater. Do your research next time. 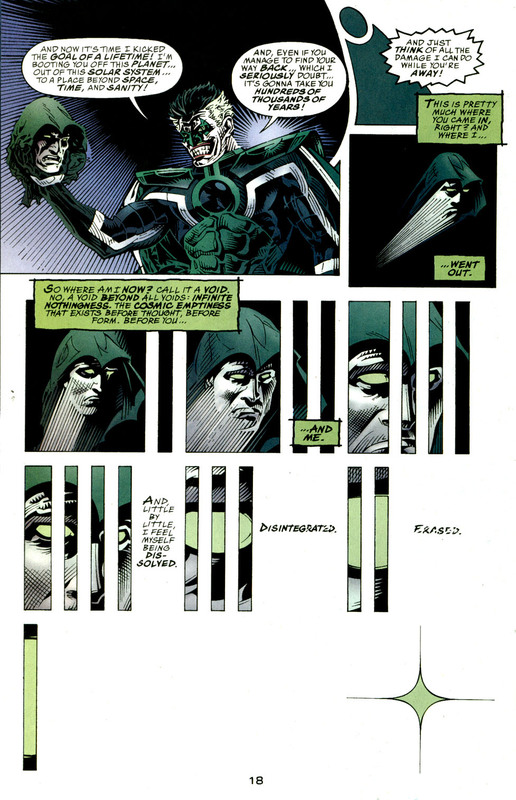 And ”I disagreee because I think…I don’t thing that he can…I am quite sure” aka your opinions on how powerful some characters are are worth JACK unless you can provide direct evidence, something that I have porivded for you here and will gladly insert he comic panels and even more feats. All of you vs Superman matchups failed so much that it is laughable, but for a weeaboo, it is understandable that you must give anime an upper hand, even if it means inventing feats on the spot. Please understand! Debates are not won through insults, but through feats. Luffy can win this thanks to his Devil Fruit. 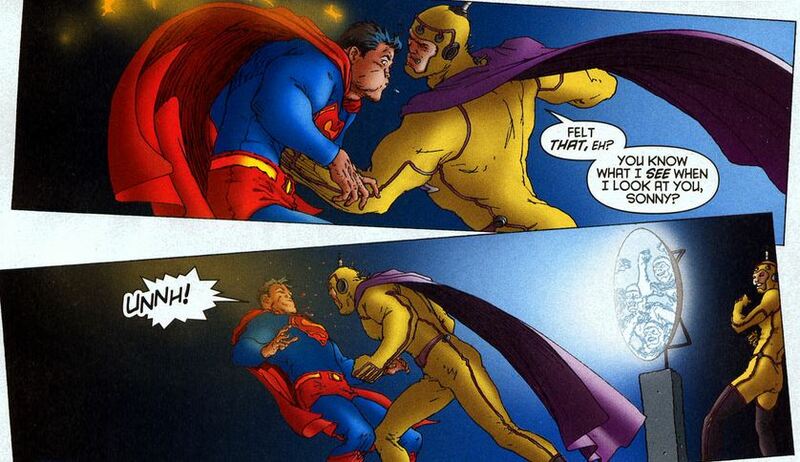 One punch from his rubber fist and it’s game set and match for Superman. That video nullifies all of your Superman arguments. I always look at fights objectively and that’s why Luffy wins this round. Massively FTL and all that jazz…. Holy stuff you really are cheap…yes, this video does prove a lot in a fight where Superman’s opponent does not have kryptonite. Very objective. Notice that Batman flipped him without even needing the Kryptonite. I think Superman’s “speed feats” have just been exposed. Your ignorance knowns now bounds, weeaboo boy. 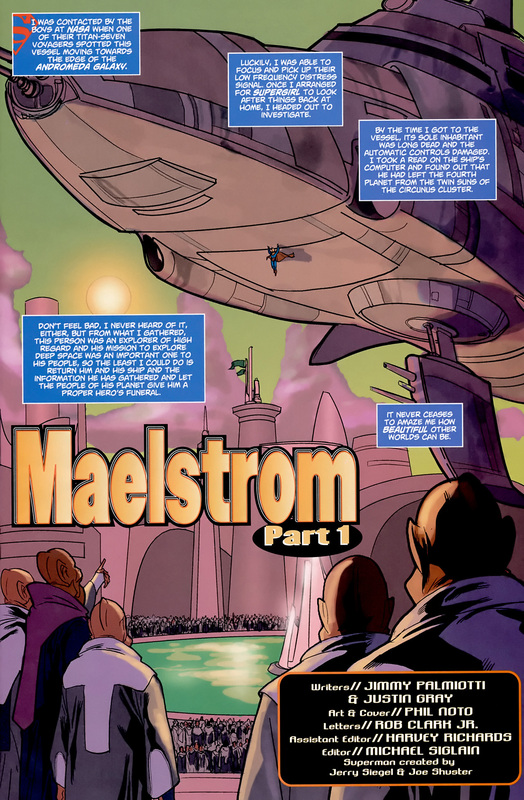 If you are going to pull non canon sources, then, I’ll give you actual comic book sources. THOUSAND TIMES FASTER THAN THE SPEED OF LIGHT! 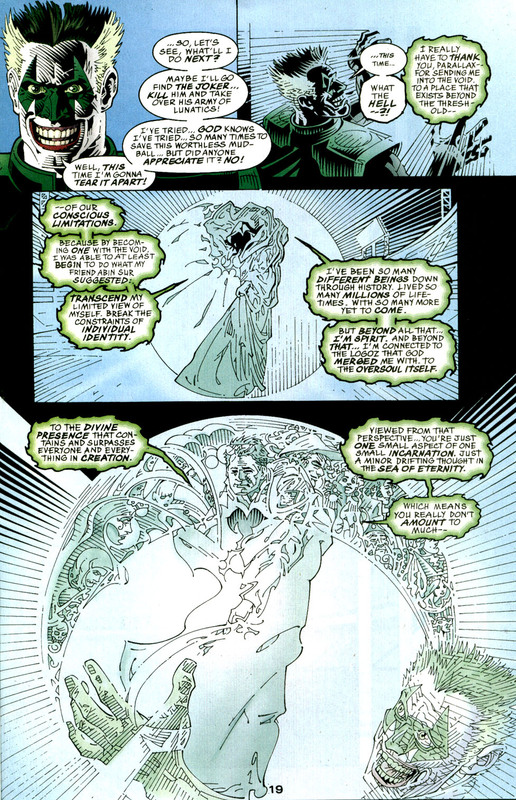 Can cut a planet in half with heath vision and can go through Earth 5000 times in a second. 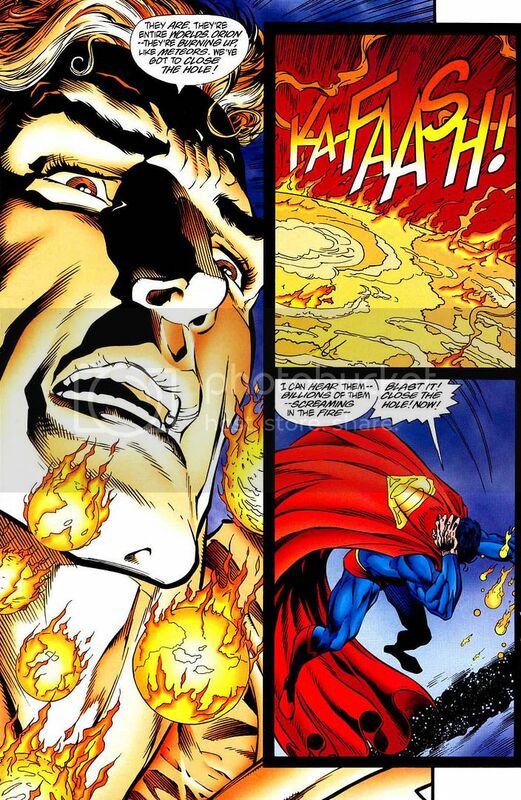 Superman is definitely the strongest comic book character of all time. Those feats should not be underestimated or downplayed. He is the ultimate hero! He does not even have to get into a melee fight. Flies to space and destroys the planet in an instant. That’s actually true. Still, Luffy would grab Superman before he could get away with Gear 4! I don’t even need to argue anymore xD Wasted my time here. 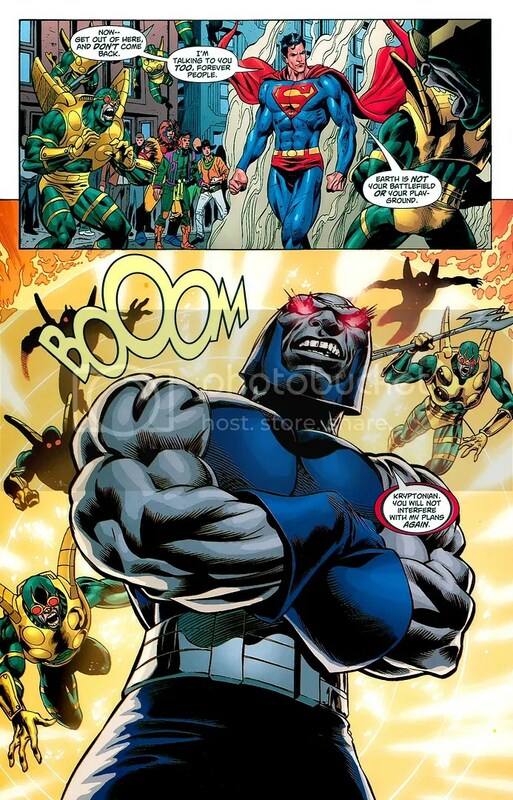 It’s clear that you do not know anything about Darkseid, do you? Superman’s my favorite comic book character. I’m a Huge expert on him and can say with confidence that he is at his best in the TV shows. I definitely do not see how luffy would be able to handle it. 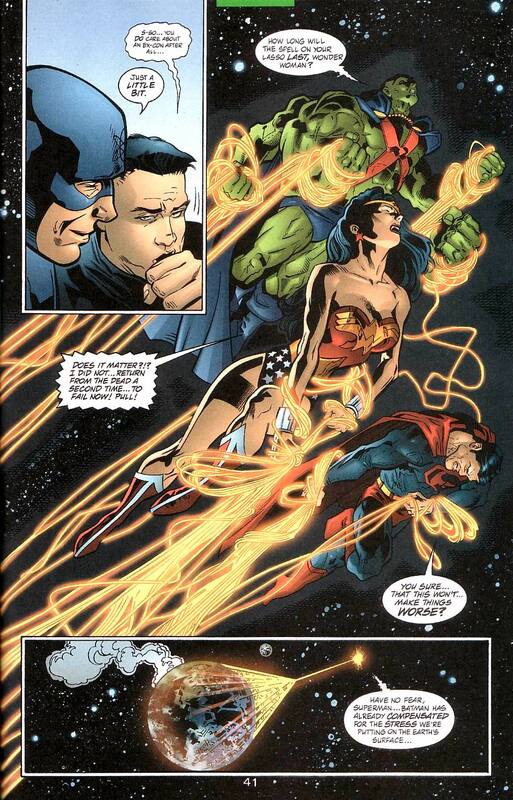 superman never uses his full potential because he knows full well the consequences of releasing his strength. That’s true and it is very heroic of him. Still, the animated Superman just seems superior even when he is still holding back. I think that speaks volumes of the character’s strength. Wouldn’t you agree? is not good in combat? 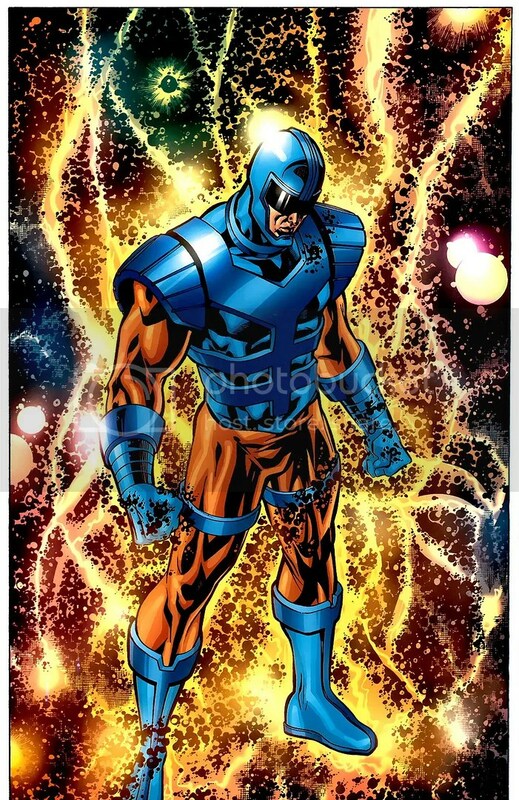 he fought darkseid, orion, infinite man, scott free, anti-monitor, how exactly is he not good at combat? in fact he is much better. would not it go far? You did not show any evidence that he is planet + level. The only thing you know how to do is blabber and show no proof for your arguments, and stop using the dark knight returns, that comic book is not even canonical. The problem is that there isn’t much actual evidence since Luffy has never felt the need to destroy the world. I don’t know where to begin on proving that since it’s just something that you learn as you go through the show. As for Batman vs Superman, I was referring to the World’s Finest TV special. It’s because just punching the ground will destroy the planet if you’re strong enough. Just imagine how Frieza did it in Resurrection F and apply that to Luffy. Of course he wouldn’t destroy the planet like that, but he still could which is just as important. Frieza did destroy it with brute strength. 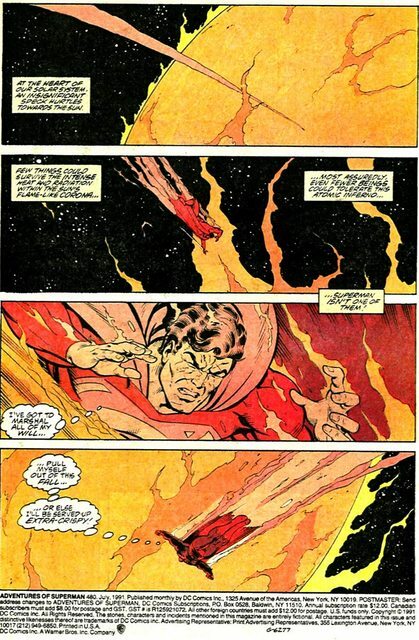 He collapsed the planet with a quick burst of energy and that was after he was super weakened. 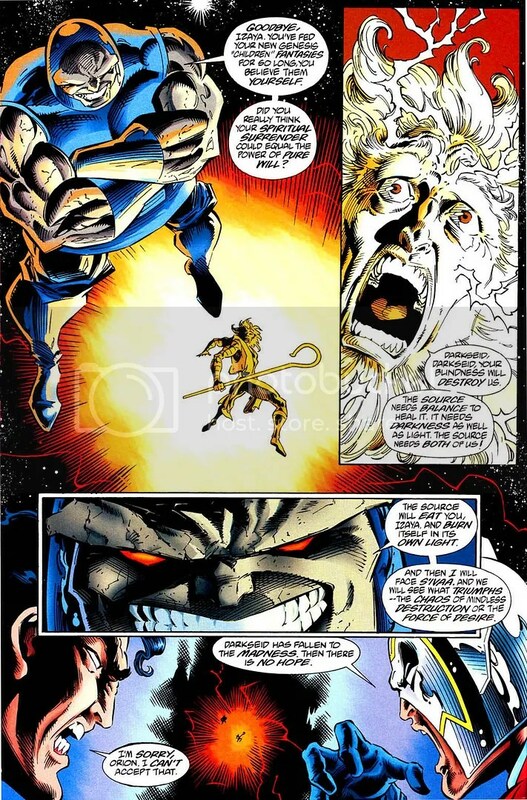 Imagine if he had been at full power, the universe likely would have gone with it. Luffy has traded blows with Toriko and Goku before so I definitely think he can hold his own. 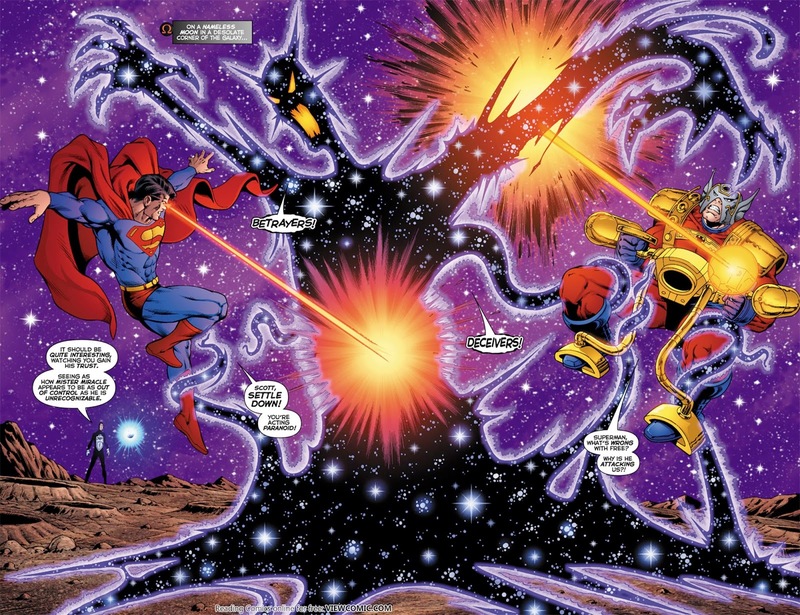 and the superman was able to hurt the darkseid soulfire who is a nigh-omnipotent being and the same equated with the presence, was able to face infinity man who is powered by the presence power, faced the anti monitor being that it would practically go consuming the multiverse. I would quit over who? of superman? Excuse me but the facts speak for themselves. The evidence of the Universe going along with it can be traced back to the Cell saga where Cell was said to blow up a Solar System. That was eons ago as far as power levels are concerned so of course that would make modern Frieza Universe Level at the lowest, most likely reality level. Goku is stronger than any comic book character so trading blows with him is absolutely insane. Now it may have just been plot hax but we still have to keep that in mind. 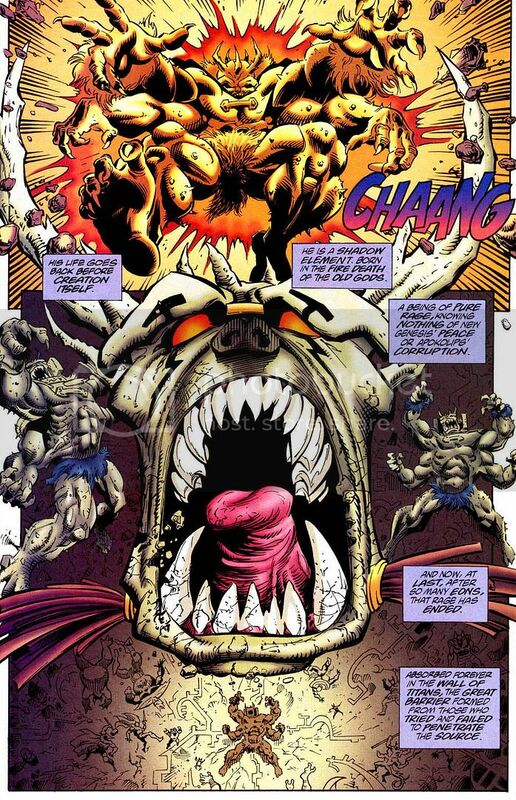 Can you show me the goku’s feats to prove he’s stronger than any comic book character? And why are you quoting other characters when we’re talking about superman vs luffy? no superman vs frieza or superman vs goku? running out of arguments to defend the luffy who has to resort to other characters? “Superman << Sanji << Zoro << Luffy"
One definitely proves the other though. It just makes sense when you look at the power levels. I forgot why I brought him up, but it was for a good reason. 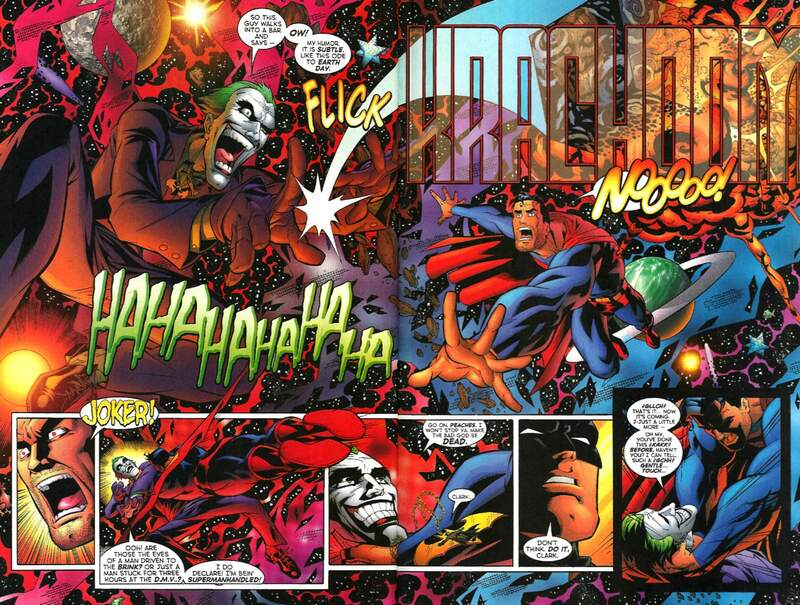 I was pointing out that Luffy has fought someone who could laugh and Superman would be blown away by the shockwaves. I could bring up quite a lot of Goku feats by the way in case you’re interested. exploits, not levels of power will prove that it is universe, just show me, that it is something that you have not done so far. superman has demonstrated feats of strength, speed, durability far better than those of goku and luffy, I’m not saying that they are weak, I know what they are capable of, but superman has proven to have better deeds than them, if You want to show, show but it will not change anything. Goku is way stronger than Superman. He was a solar system buster back in the Cell arc. Since then he has gotten many times stronger over the years to the point where it’s impossible to determine his power level. He is so strong that he could likely eradicate everything with a single blast. He is millions of times stronger than he was back when he could blow up a solar system so that’s why it is not a stretch to say that he is the strongest. It’s fortunate that this debate is mainly about Luffy I suppose. Where exactly did it blow up a solar system? Can you show me? No prob, I have the scene bookmarked at this point since it gets brought up quite a lot in DBZ debates. I think you did not understand my question, I asked where he had blown up a solar system. and so we’ll see who is stronger between luffy and superman. Hmm, my One Piece knowledge is rather lacking, but I shall do my best. Strength: Luffy broke a whole building with a single Gum Gum Punch back in Arlong Park before any of his power ups. If we throw in the other 3 Gears and the 3 Year timeskip plus Haki, then we can assume that Luffy’s punch would have decimated the planet. 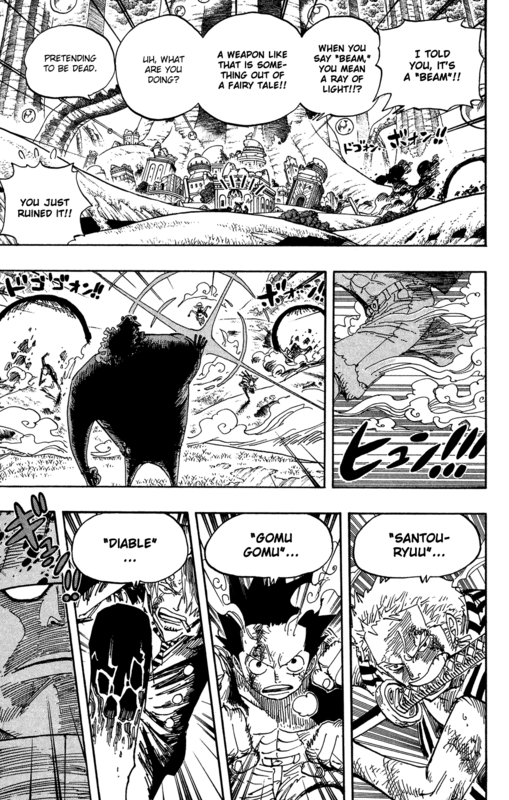 Speed: Luffy was keeping up with Dogtooth and Lucci. We saw him essentially teleporting during the fight so he is certainly FTL. The DBZ teleport sound is usually proof of that. Factor in that he keeps getting stronger and faster and his limits are unknown. Durability: Luffy was fighting for hours and maybe even longer during some of the latest arcs. Luffy’s endured dozens of attacks even when he was incredibly weakened. If that isn’t impressive then I don’t know what is! Strength: Luffy broke an entire building with a single Gum Gum Punch at Arlong Park before any of his power-ups. If we play the other 3 Gears and the 3 year timeskip plus Haki, then we can assume that Luffy’s punch would have wiped out the planet. 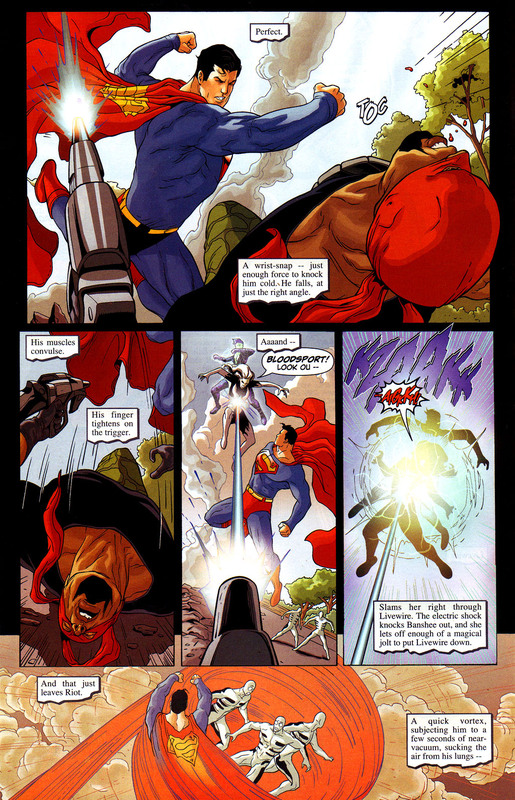 Superman harms and tanks attacks from Nebula Man / Qwewq / Neh-Buh-Loh, who is a living, conscious universe. 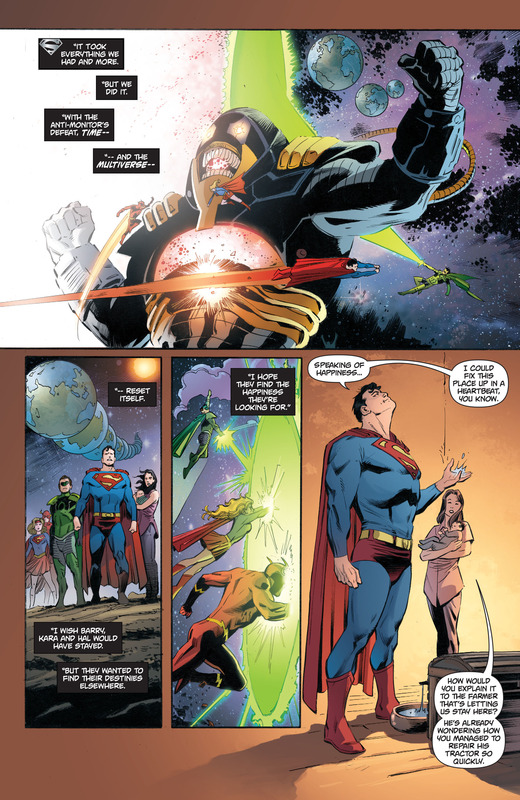 In JLA: Heaven’s Ladder # 1, Superman tanks an attack from the Quantum Zealot, an evil Quantum Mechanic, even when Quantum Zealot, being who has obtained the Power of Creation, has him in his hands during the attack. 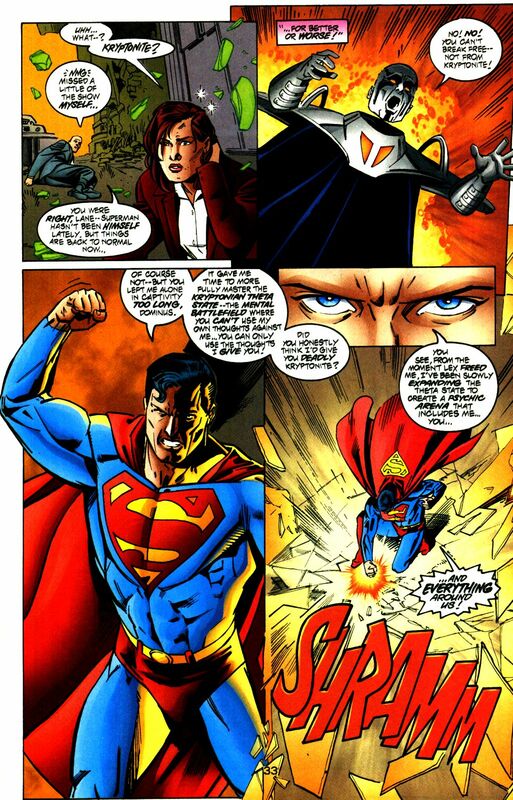 Afterwards, even in Superman’s bad condition, he manages to get up and push Quantum Zealot inside the machine. 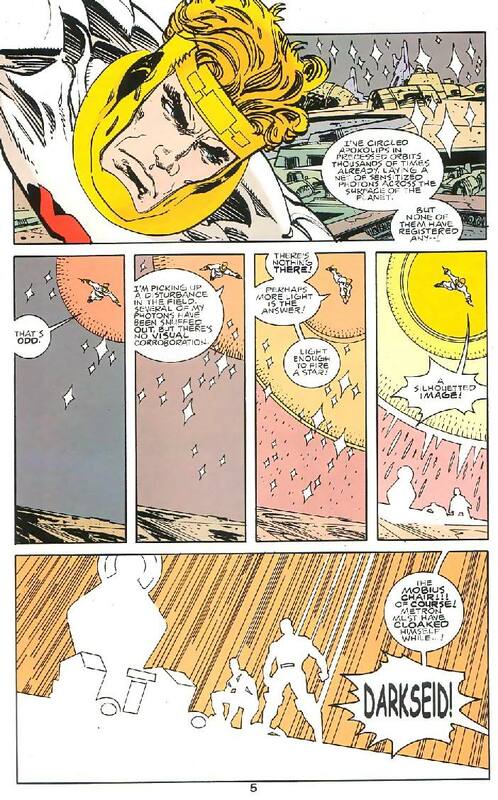 Lightray can circle Apokolips thousands of times in a short amount of time. 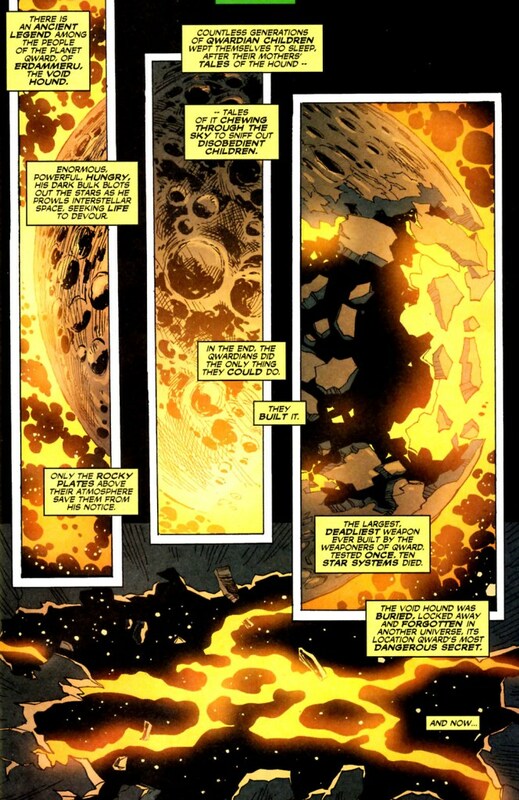 Apokolips is so large Earth barely displaces to lake on it. 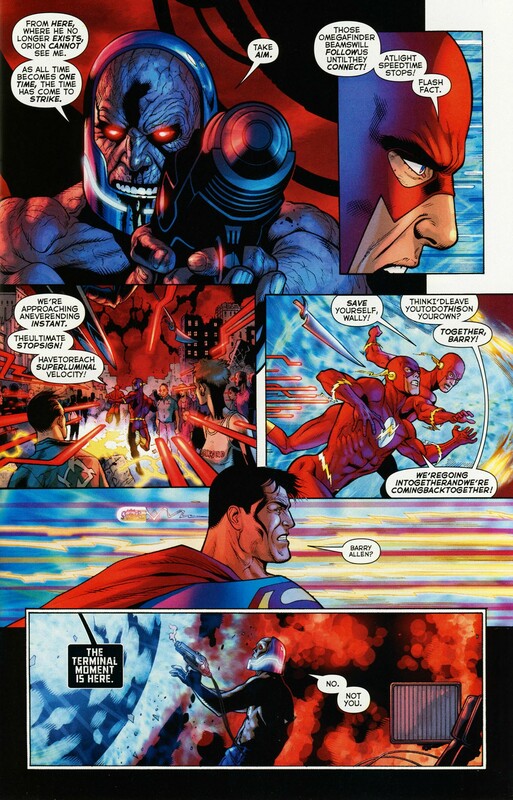 Superman travels from Apokolips to Earth in seconds. Durability: Luffy was fighting for hours and maybe even longer during some of the last arcs. Luffy endured dozens of attacks, even when he was incredibly weak. If this is not impressive, then I do not know what it is! After having some of his power drained by the Parasite, and being further weakened by Khyber gets tossed into the earth. 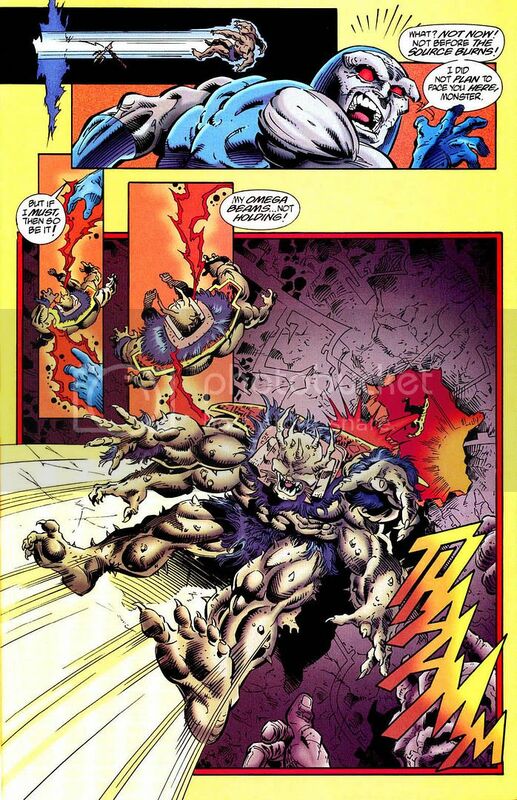 Interesting to note how he survived depowered even though the Earth was absolutely fucked by this. You did not show any feat that proves that he is planet level. That’s quite a lot of feats! All right, when I have more time tomorrow or Saturday at the latest I will go and start grabbing a bunch of actual scans to use for the feats. It’s time to prove once and for all that Luffy is as tough as he looks, perhaps even tougher. Teleporting during combat makes you FTL though and Luffy has pulled this off many times before. That’s why he is known as such a dangerous opponent for all sides. You finally understood what I want you to do. Superior to lightning you mean and I would argue that since Luffy wasn’t even at his best at that point that he is absolutely crazy now! Luffy being a building buster back in arc 1. Throw in the timeskips and that puts him at planet level. Next Luffy decimates a whole city while he was being squished so he didn’t even have any leverage. This was before the timeskip which makes it even more impressive. Finally Luffy basically destroys a country with his ultimate punch. If the web hadn’t been there then the planet would have likely fallen too. As for speed, here Luffy outruns an explosion. Here Luffy runs so fast that he sets fire to the ground and his FTL abilities are finally appreciated by me. Luffy casually dodging arrows while relaxed. I could go on for days. Luffy just has a bunch of feats. There’s a whole thread for it. superior to a lighning or not, it does not do it faster than light. “Luffy being a building buster back in arc 1. Throw in the timeskips and that puts him at planet level. Next Luffy decimates to whole city while he was being squished so he did not even have any leverage. This was before the timeskip which makes it even more impressive. Finally Luffy basically destroys a country with his ultimate punch. If the web had not been there then the planet would have likely fallen too. “As for speed, here Luffy outruns an explosion. 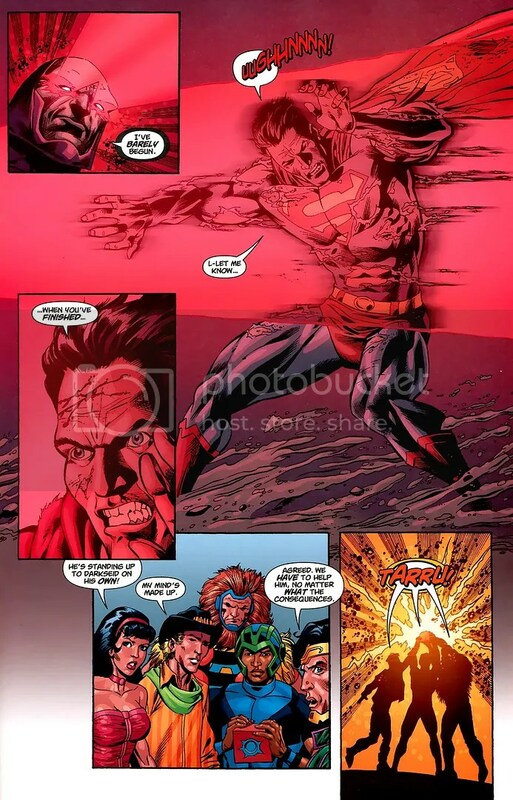 let me just remind you that superman, faced characters that can eradicate the whole existence, and to face such characters he not only needed to be strong, fast and durable, he would have to have a lot of experience in combat, because he would have to have gone through such situations and knowing what to do in them, and also he would need to be strong in order to be able to hurt such beings, and also need to be quick to deflect attacks and counterattack quickly, and durable to resist the attacks of these beings and to remain alive and standing . and you’ve also forgotten the fact that superman is trained by Batman and Wonder Woman, and is trained in Kryptonian martial arts. Luffy never loses his throne. What I’m also saying is that Luffy’s power level is consistent and always rising while Superman is lucky to break even. Some days he looks good and some days he looks bad. He’s not quite in the same league as Luffy. you will not reply me? I’m amazed to see how you’ve indignified all I’ve said and I’ve shown, superman innumerable times has infested enemies that can eradicate the whole existence, and this has not happened once or twice, been several times, so this Superman only picked up all the time and won only once or twice, but that does not happen in COMIC BOOKS unless you are talking about the drawings (which are neither canonical nor they are part of the original story of the character) and it is also worth remembering that he has often endured powerful enemy attacks and neither suffered much damage nor appeared to have taken the attack, while luffy in some of his fights was so wounded that he came to the brink of death. so I think the luffy should be a sadomasochist because practically in all his fights he can not stand without taking damage, and on the superman shake his fists well, some of those wrist-shaking were strong enough to let some of his opponents lethally hurt or they were not able to do that, but they were not able to do so, and they were not able to do so. I have demonstrated several times. 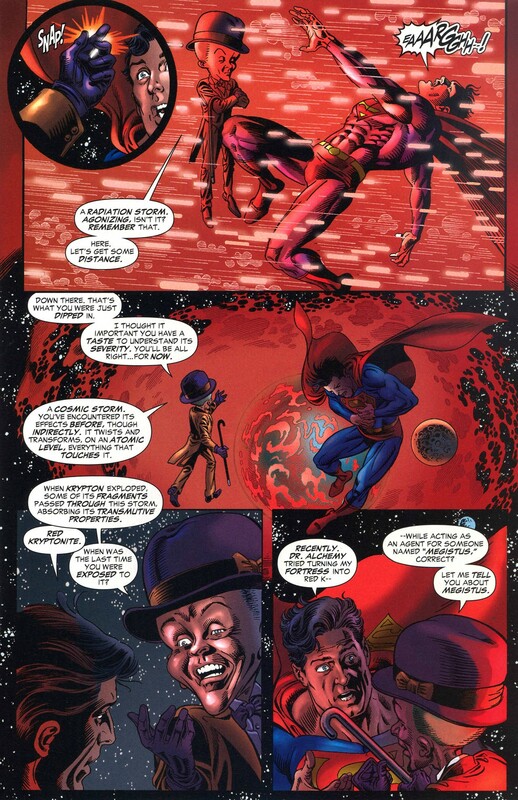 and what exactly did you mean when you said that superman’s enemies are not pirates? Are you telling me that just because they are one-character characters mean they are stronger than the DC characters? 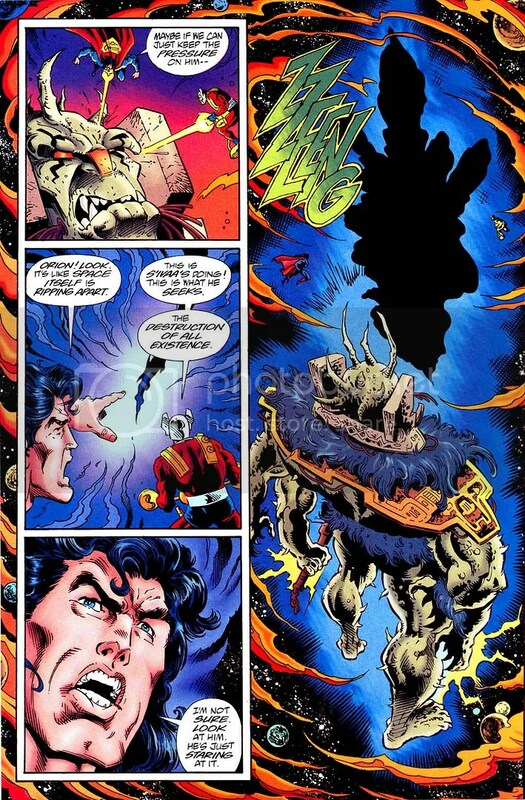 this argument makes no sense because some of the enemies that Luffy faced are simple pirates with special abilities (some of them do not even become city level) while the superman’s opponents are mostly gods and cosmic entities with immeasurable powers that can eradicate existence, or creatures that can destroy planets, stars or galaxies (like doomsday and rogor zaar). plus the feats of strength, speed, durability, luffy can be impressive in your universe, but compared to what superman has already done and is able to sincerely, make luffy look like jokes. Must have gone to spam for some reason. I don’t really check that box very often. All right, lets get into this debate. 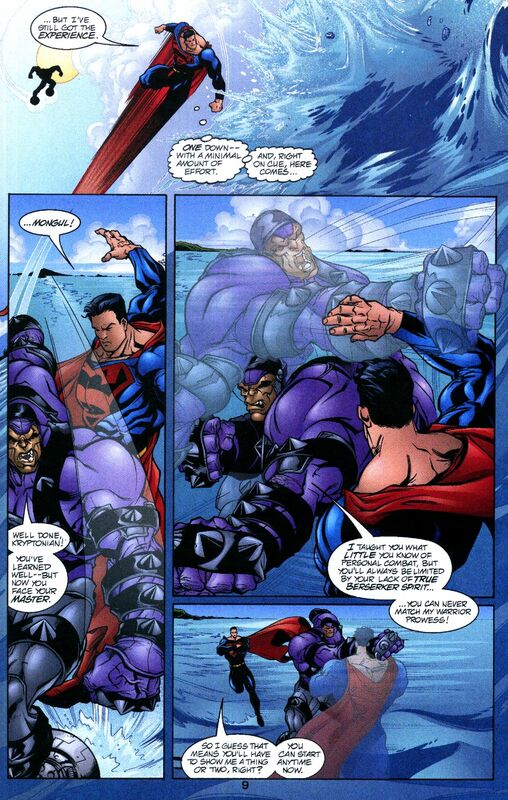 Well, Superman definitely has a lot of good feats and such at his disposal. 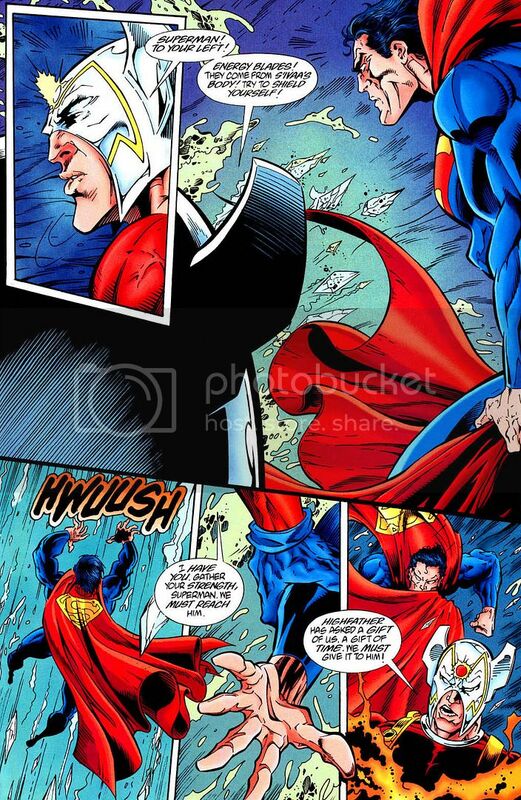 I won’t deny that Superman’s a strong fighter. I’d still say that he is the strongest comic book character, but he isn’t ready for a round against my main man Strawhat Luffy. Luffy is more consistent. While he has been brought to the brink of defeat in the past, it won’t happen very easily. At his prime Luffy can now take on almost any opponent 1 on 1. 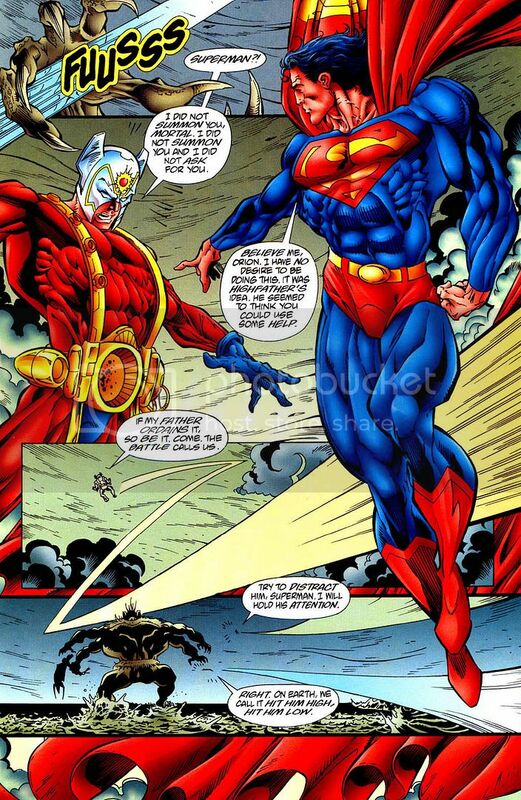 His rubber body will help insulate him from Superman’s attacks and you can’t underestimate his massive speed either. Superman has more raw strength, but he doesn’t have the combat speed needed to take on Luffy. “so I think the luffy should be a sadomasochist because practically in all his fights he can not stand without taking damage, and on the superman shake his fists well, some of those wrist-shaking were strong enough to let some of his opponents lethally hurt or they were not able to do that, but they were not able to do so, and they were not able to do so. I have demonstrated several times. Well, I’m just saying that if you put the One Piece villains against the DC ones, the former would be able to claim victory. On average they are just a whole lot stronger and more powerful. 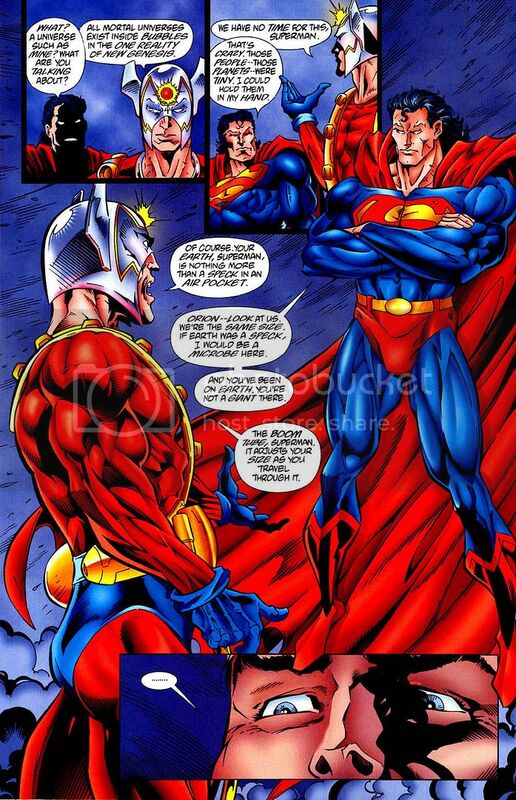 Superman would be on the defensive for most of the battle and would ultimately begin to falter. 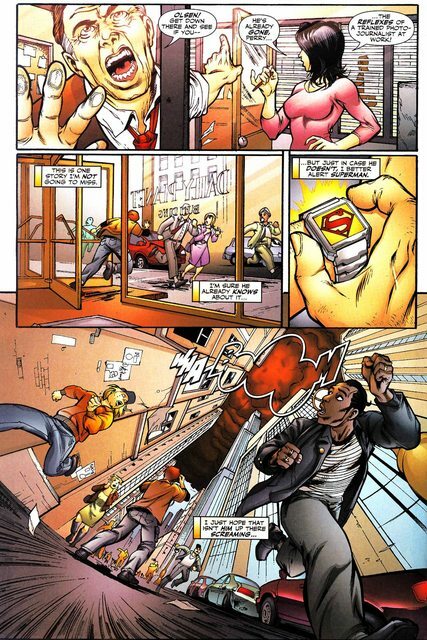 So, Superman has a lot of raw speed, but he doesn’t have good combat speed. It’s why you see him get hit by characters like Batman, Poison Ivy, etc. You won’t see that kind of thing happen to Luffy. Especially since he has Haki which lets him predict and expect hits like that. Superman is great. I can’t stress that enough. Still, he just doesn’t have a chance here. Luffy’s a little too high tier here. Losing is just something that he doesn’t do. 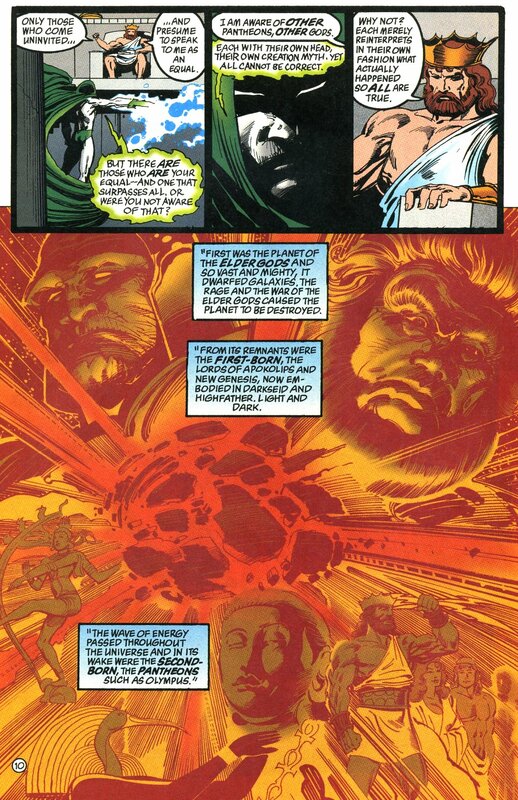 he already faced enemies that could virtually destroy the DC multiverse and was able to withstand these powers, and of course endured planetary explosions, supernova explosions, black holes, and even a more powerful explosion than the big bang. the resistance of the rubber has limits, and several times the luffy was injured even possessing a rubber body so that does not mean anything, and even the luffy being super fast it does not even compare to the speed of sprinters like the flash. 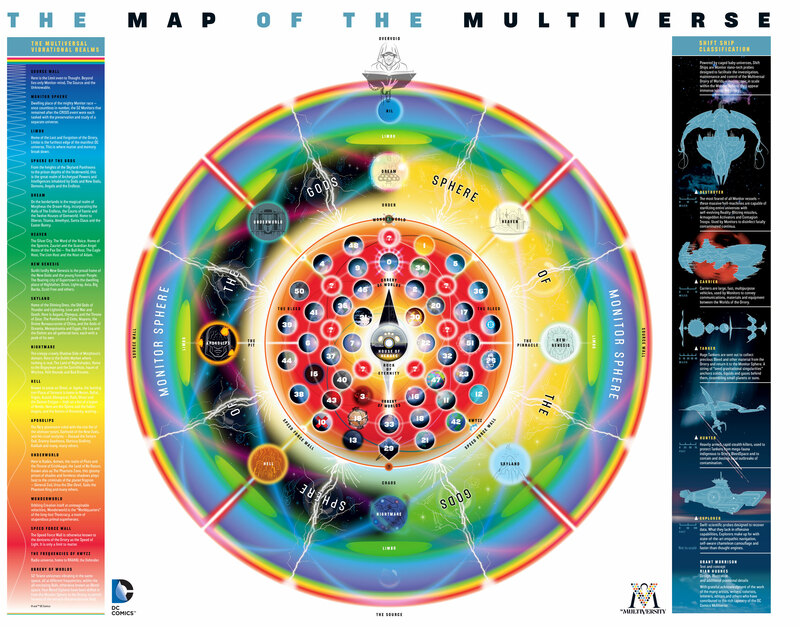 how exactly can characters (some of them even being city level) defeat characters that are multiverse level being? as I have demonstrated several times superman has combat speed more than enough to combat luffy, and the situation you mentioned are common situations in the life of superman situations I mentioned were situations in which it was necessary for superman to use his speed reaction, now in normal situations in the life of the superman it is completely unnecessary to use all his speed to solve situations that need little, and as luffy is a fast opponent then the superman will certainly use his reaction speed and combat. 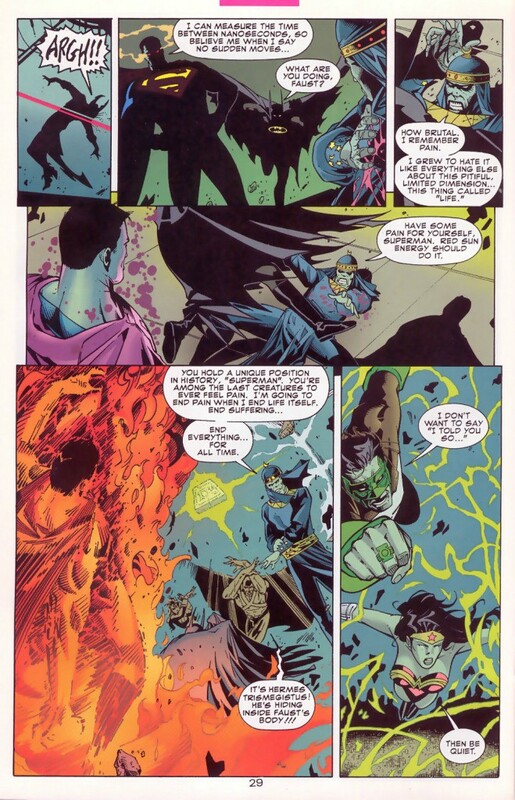 plus this situation you’re mentioning was when poison ivy used poison with kripitonite to manipulate the superman’s mind and batman used a kripitonite ring to hurt superman, both of whom used superman’s weaknesses to hit him and this is not valid, just as it is not worth the fact that luffy was shot by a seastone’s bullet. “Superman is great.” “I can not stress that enough.” “Still, I just do not have a chance here.” “Luffy’s a little too high tier here. too high in his universe with his enemies, but against someone is strong enough to move and destroy planets with his own hands, contain a black hole with his hands, lift infinite weight, break the boundaries of space time and reality and face enemies that can destroy all existence, frankly it is more than the luffy is able to perk. It’s worth remembering too that combat speed is not the only thing that matters in a fight, strength, durability too, so stop saying that superman can not defeat luffy just because of combat speed (though I have already shown he has and use only when necessary) because that’s not all that matters. 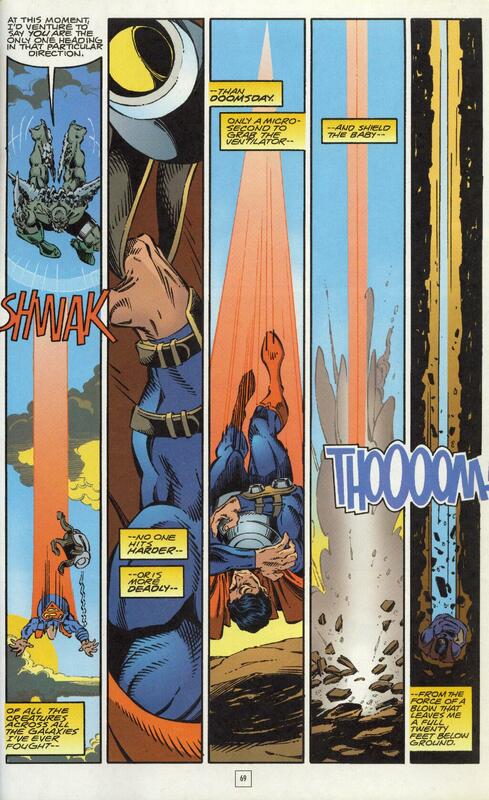 Superman does have some great feats. The scans you posted certainly do show why he is such a threat. 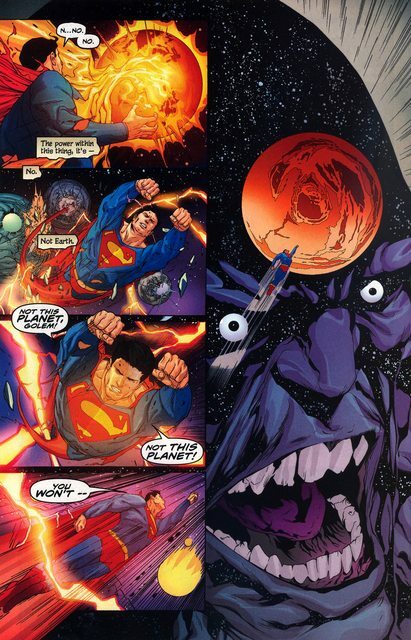 At his best Superman has even juggled planets and such. He’s certainly no pushover or anything like that. 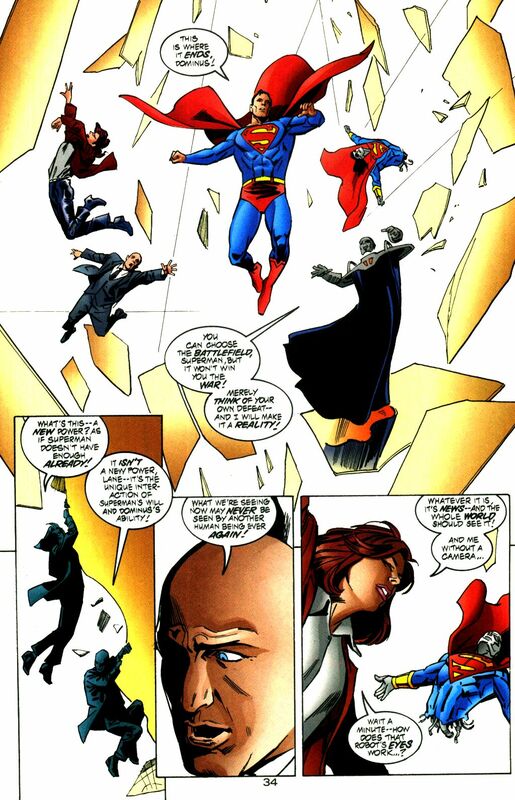 At the same time, Superman’s been shown to be rather inconsistent. Now, we can perhaps say that it is because some threats aren’t worth his time as you suggested. Perhaps he has to tap into his abilities so he can be slow to react if he isn’t expecting an attack. However, while that could work to an extent, I don’t think it completely solves the problem for him. His durability doesn’t go down and yet he takes solid hits from relatively low tier villains at times. We’re using composite so Superman is at his best but this should all be taken into consideration. Now, you’re saying that combat speed isn’t the only thing that matters. That’s true, but it has a huge impact on the fight. Put it this way, if you take away the combat speed then the fight is determined by the abilities. Luffy and Superman both have similar abilities. 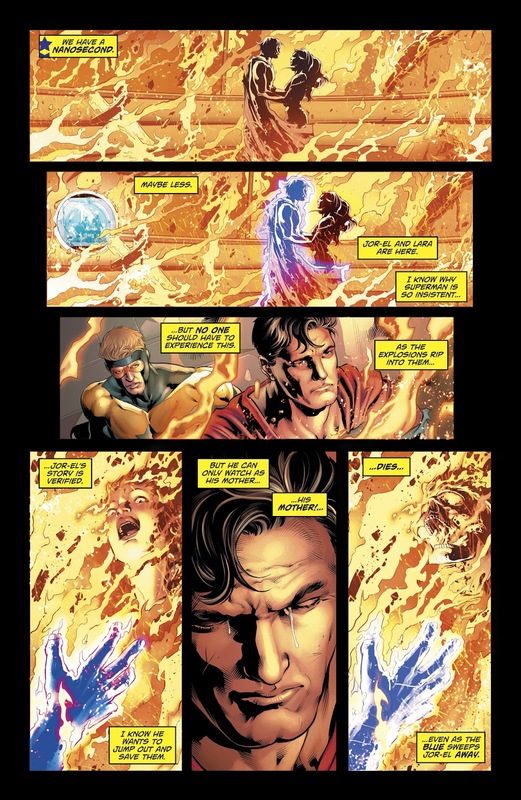 Superman has his unique heat vision while Luffy has his Rubber powers. Beyond that, they both have super strength and speed. 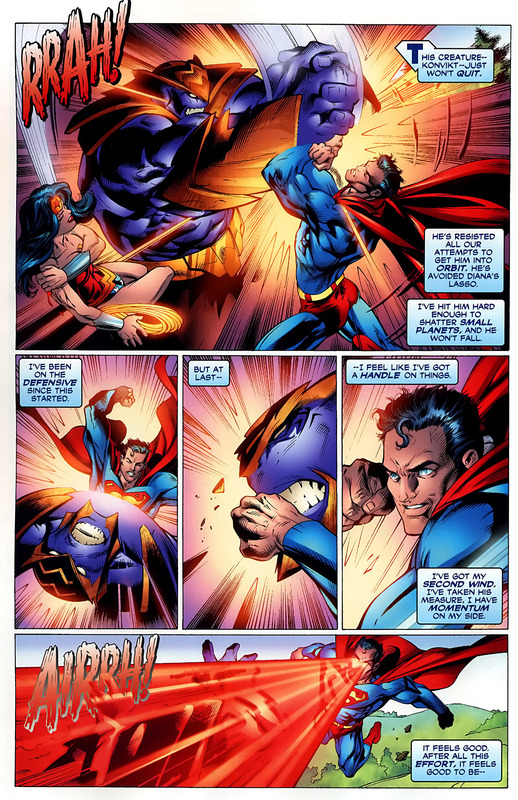 Superman may have those abilities at a higher level, but how well he uses them in combat is crucial. He won’t be able to keep up with Luffy in a close quarters brawl. 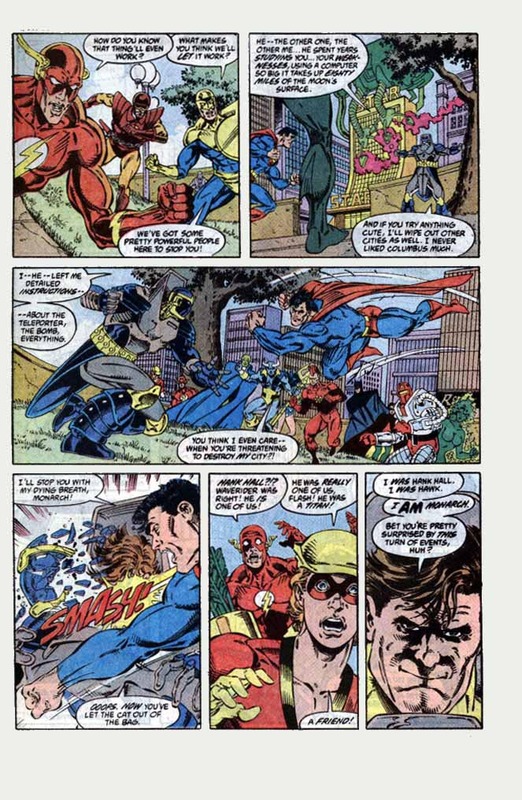 Superman will be able to recognize that a hit is closing in and adapt as best he can, but at the end of the day he won’t be able to get out of the situation as smoothly as he would have hoped and that’s where things are going to get dicey for him. Yeah, I’m talking about the latter guys. 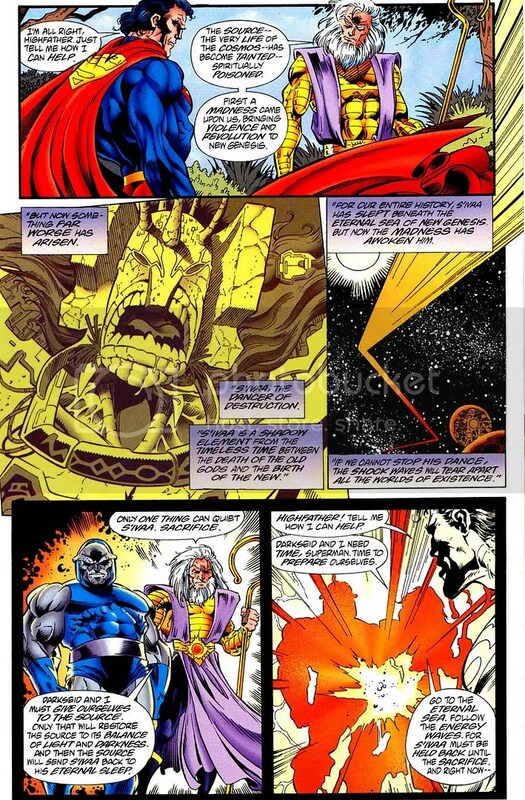 Lets say we have Lucci, Dogtooth, and Whitebeard against Darkseid, Mr Mxy, and Anti Monitor, the first group will win. Once again, those guys are just stronger fighters and have been in the ring for quite a while. 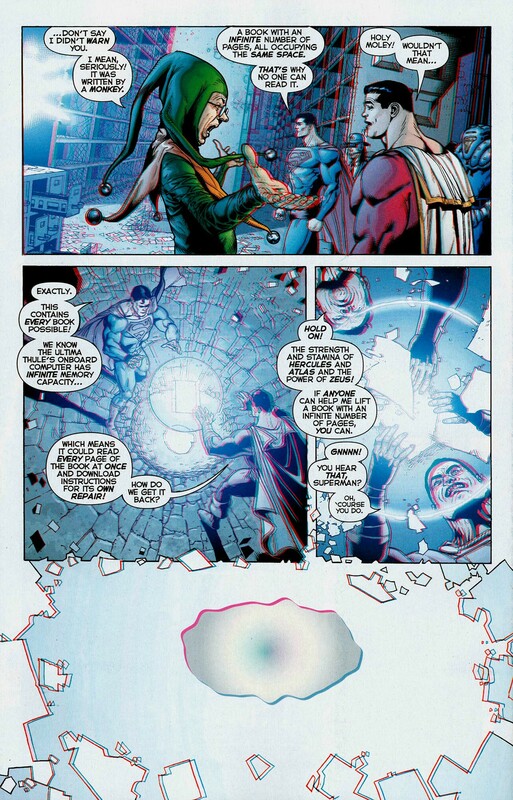 Their unique talents and techniques will keep the DC villains at bay while also cementing their advantage very quickly. You just can’t hope to stop such heavy weights from running away with the title. Did you delete my comment or what? When I posted my comment in response to your last comment, it appeared as posted but then disappeared suddenly. I’m starting to think that it was you who deleted him. Anyway, I answered it in your g + account. Now THIS is funny. Luffy is so hopelessly outclassed here. Superman not only solos the SH Pirates, he solos the One Piece world. Luffy stands a chance only if it’s DCEU or DCAU because those versions are intentionally nerfed to oblivion for the sake of the plot. Strength: Superman. What is Luffy’s greatest strength feat? 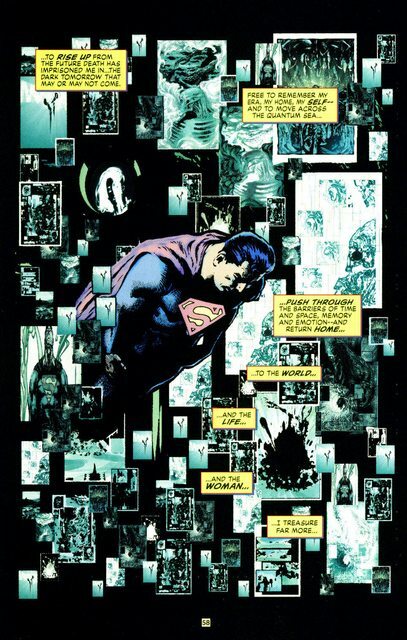 Does it come anywhere near the time Superman held up a conscious void with the entire Multiverse growing inside it? Speed: Superman. All of them. Travel, combat, you name it. Also Luffy is NOT FTL. Admiral Kizaru is the ONLY character in One Piece confirmed to be AT, NOT FASTER than light speed, seen as in the Marineford Arc, Kizaru called Luffy in Gear 2 “slow.” Combat speed is also a no-brained. 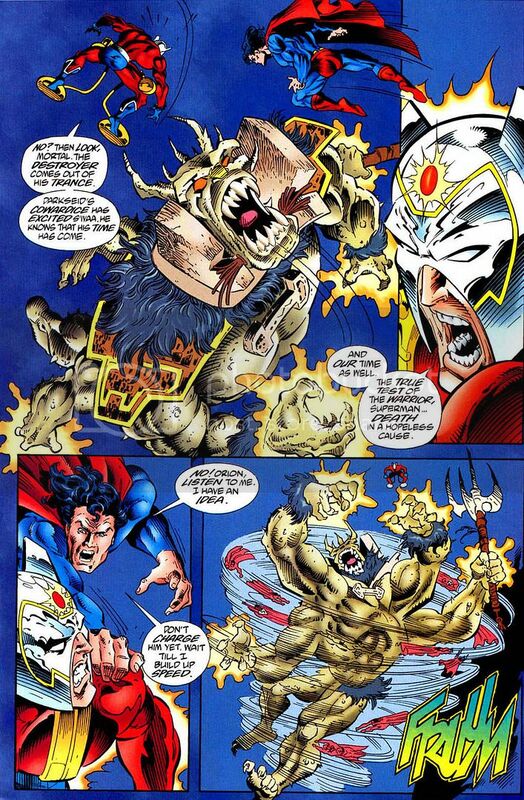 Luffy vs Lucci is pitiful compared to Superman against Shazam, Doomsday, Darkseid, Zod. He speed blitzes them and he’s stated countless times that he can blitz at the speed of light. 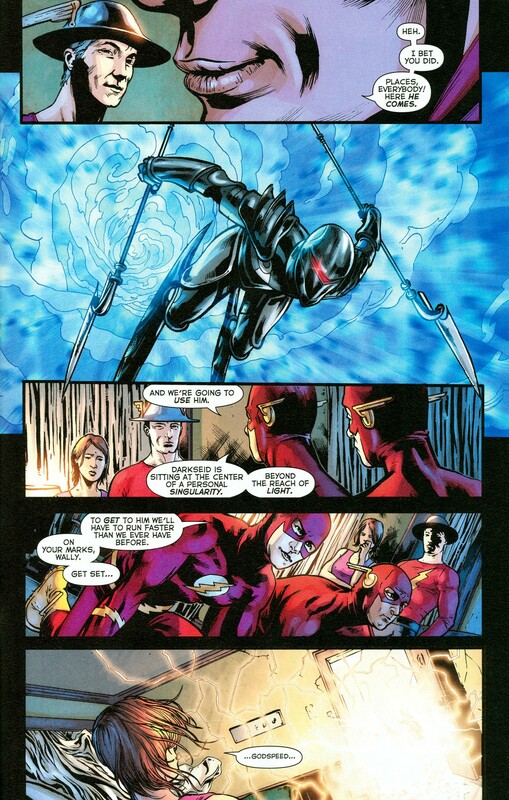 There’s also the fact that he can speed up his senses to slow time around him and can keep up with The Flash, the fastest being in all of fiction. Durability: Hahahaha. Luffy got burned by Akainu’s magma. 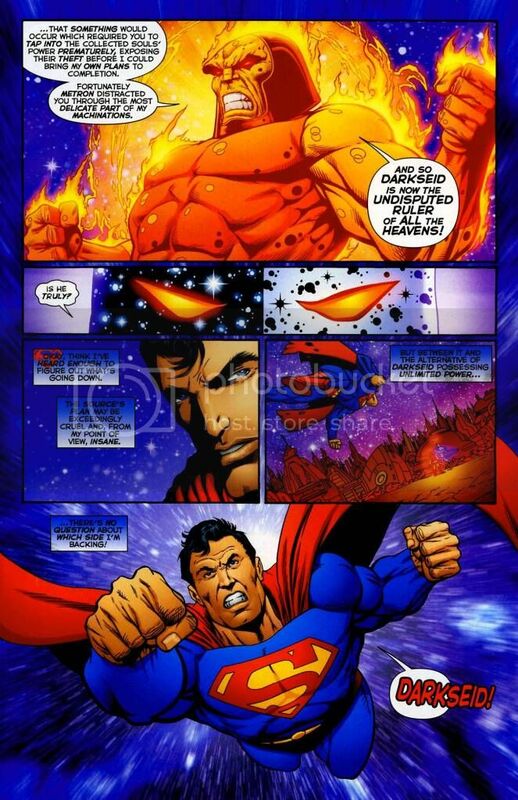 Even the DCAU Superman isn’t affected by magma. 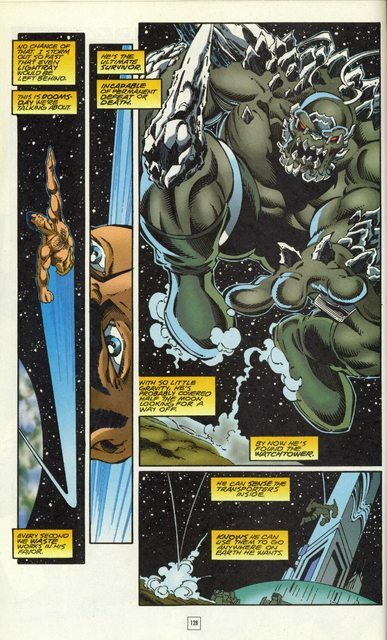 He was fighting Doomsday inside a volcano. He’ll incinerate Luffy with his heat vision. If Aokiji can freeze him, so can Superman. 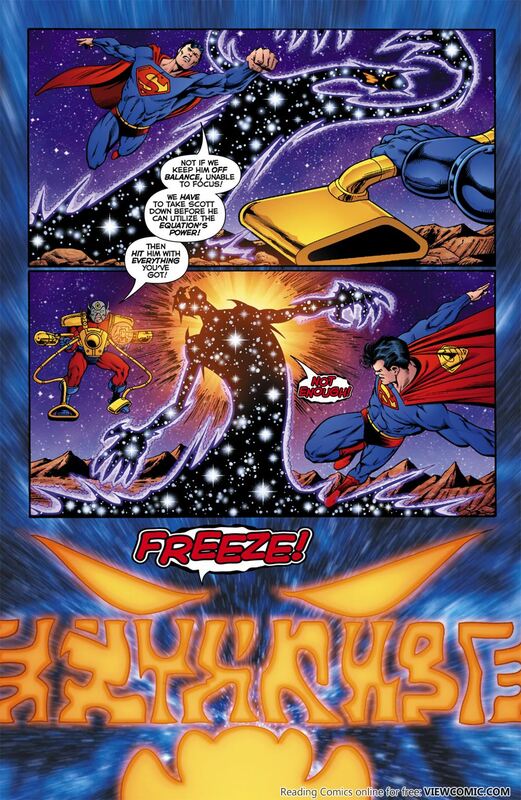 His freeze breath cancels out Captain Cold’s gun, so that means it reaches Absolute Zero. Intelligence: Is this even a debate? 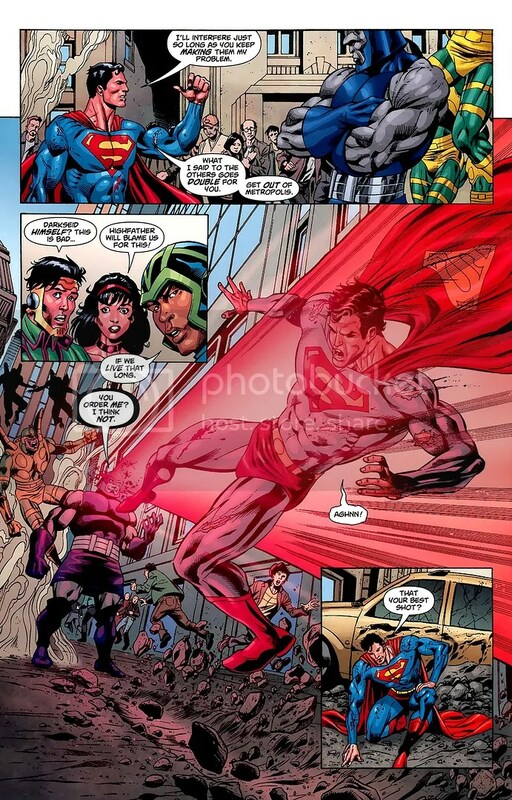 Superman is a descendant of the most intelligent race (excluding Gods) in the Universe and he processes information thousands of times faster than supercomputers. “He doesn’t have the raw power” Haha yes he does. Luffy vs Lucci proved that he can be beaten by brute force alone, and since its kind of obvious Lucci is barely mid tier and Superman is way above top tier in OP, I’d say Superman’s punch atomizes him. But then again, he can shatter planets with ease, and Luffy’s durability isn’t all that impressive. Don’t forget that the only reason Luffy is still alive is because of his friends helping him and sheer luck. He should have died in the Alabasta Arc after Crocodile drained him of water. I think you’re lowballing Luffy here. The guy is definitely FTL, just look at how fast his fight with Lucci was. Luffy was strong enough to land blows on really powerful enemies in the One Piece series and his durability is also on point. 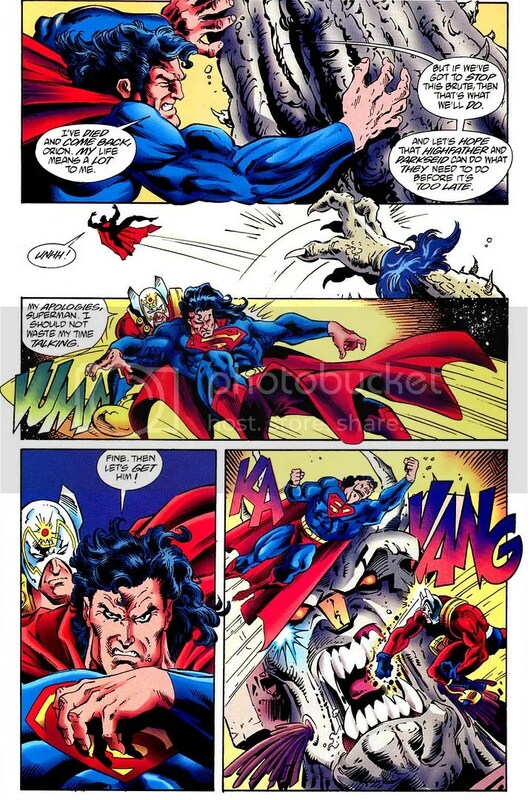 Superman always sounds good in theory, but his combat applicable speed is just not good enough. luffy FTL? you just kidding?Have you shown absolutely no feat that proves that it is FTL, and the superman’s combat speed? and the luffy’s reaction speed is hypersonic + level, and the superman’s speed is attosecond level (or trillion times the speed of light) the superman can easily blitzs him. and please stop using the cartoon and non-canonical fonts to justify their arguments, and so far you have not shown any deed that proves that luffy is faster than light. Luffy outspeeds light casually. If you ask me, that alone shows why he is one of the strongest to ever fight it out. 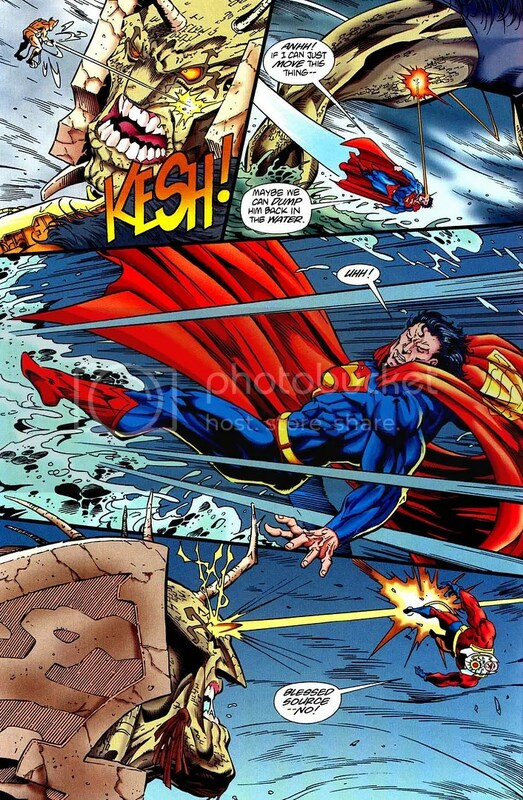 Now, Superman’s cartoon moments have to be considered as I mentioned they are his best feats. They may not have the same ring to it as nanosecond or attosecond, but we actually see him move quite quickly against his opponents. The problem is that he also gets blasted just as easily by other opponents. With Luffy you can bet that he won’t get hit unless he wills it to be so. this situation that you are describing has never occurred in comics unless you are talking about the cartoons that as I said before are totally irrelevant because they are not canonical. See, that’s the difference between the comics and anime. 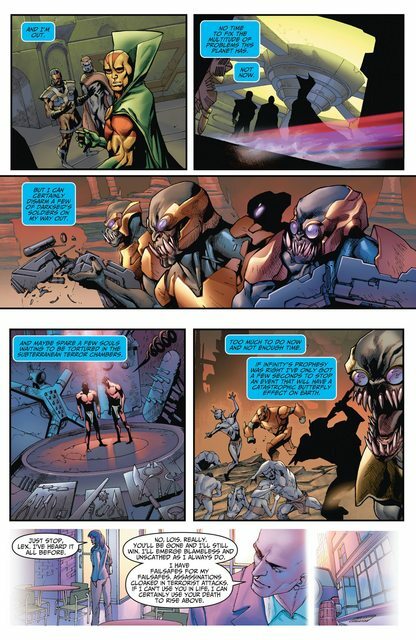 In the comic they will say that something is at the speed of light as hyperbole or just to make it more impressive. In the cartoons they just show a beam of light and you know that it is FTL if a character dodges. That’s what One Piece did and it works effectively. Luffy didn’t deflect it either, he simply dodged. 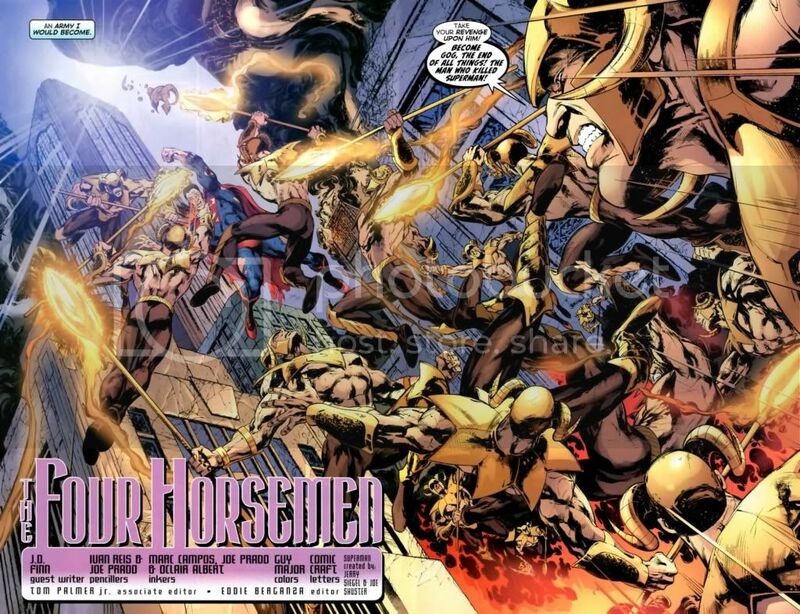 In comics, they will say that something is at the speed of light, hyperbole or just to make it more impressive. 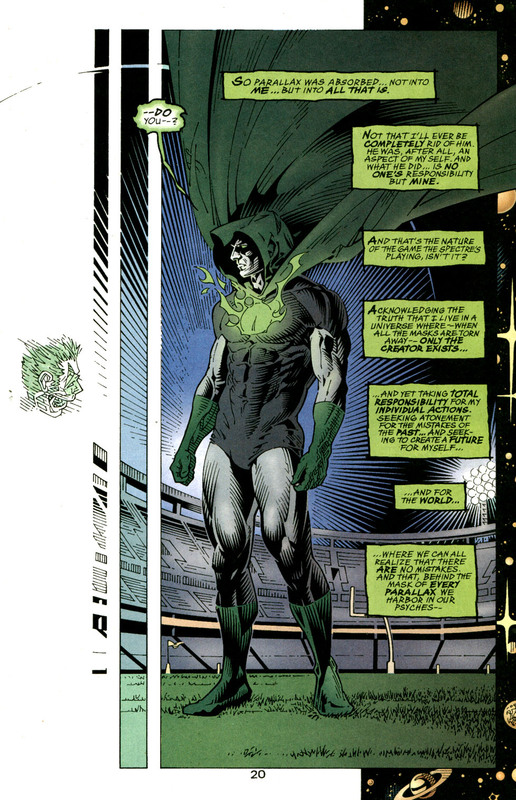 “The exploits that I showed of the superman did not even mention the speed of light, but this was demonstrated. This is probably still in Superman’s top 3 most impressive scenes. This laser beam was definitely massively FTL though. You can just tell based on how intense it looked and how everybody reacted. I do not know where you got that laser beam is massively FTL, and just because everyone was impressed with what the luffy did, does not mean it was faster than light. 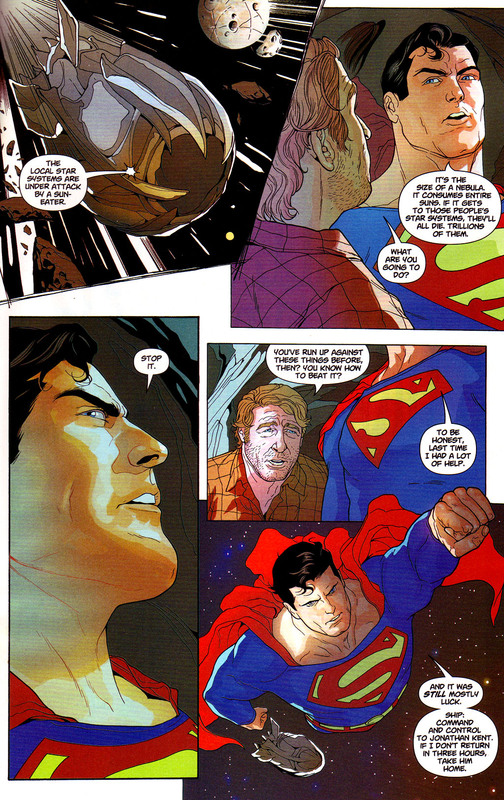 “The cartoon Superman is still strong.” I point to a comic and I just point to the TV show as a better feat. Again, I watched the superman cartoons and read his comics, and the cartoon superman is too weak when compared to him in comics (and you know that very well) the only reason you use the cartoon superman is because he is the only version of the superman that the luffy manages to defeat, because of the comic he does not have the least chance. He didn’t divert the laser blast though. He just dodged it which is immensely impressive. 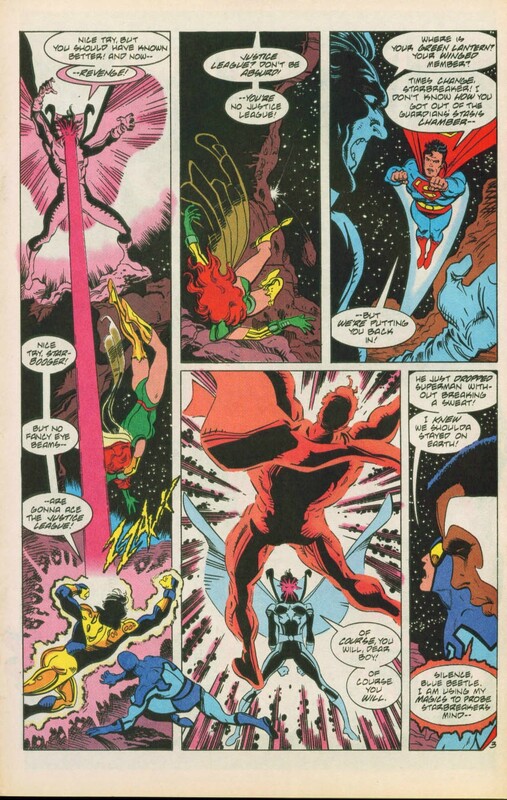 I also don’t deny that Superman performed those feats. I’m just saying that they weren’t quite as downright amazing as you would have us believe. In truth, Luffy probably could have done all of that. Everyone was impressed and you just have to roll with the narrative there. Why actually say that the blast was FTL when you can show it? That’s just basic story telling logic there. Animated Superman is still the best Superman if you ask me. He’s looked very impressive throughout, particularly in the Justice League cartoon. 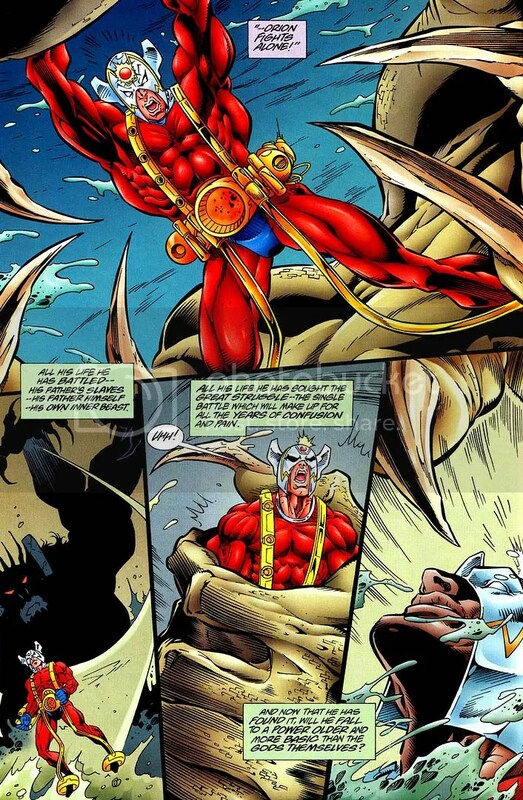 Never in all of my years have I seen a comic book character move with that level of speed and raw power. It was absolutely crazy! 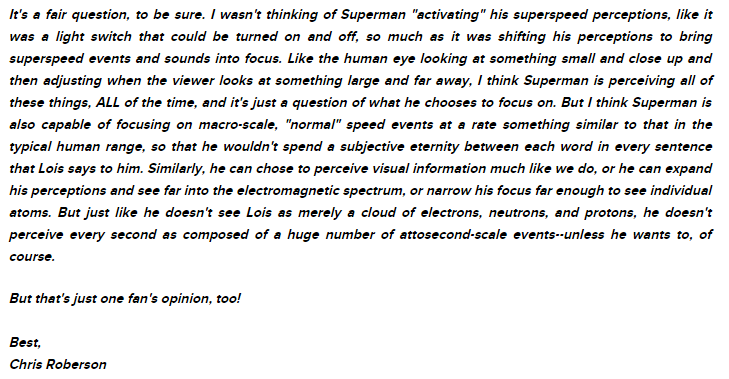 note that the author has not made it clear how many attoseconds the superman can see all maybe 1 2 3 or 4 attoseconds, in other words the superman’s speed of reaction is faster than an instant! and no, luffy can not do that, since he has not dismantled proof of that, and dodging a laser beam does not make it faster than light. 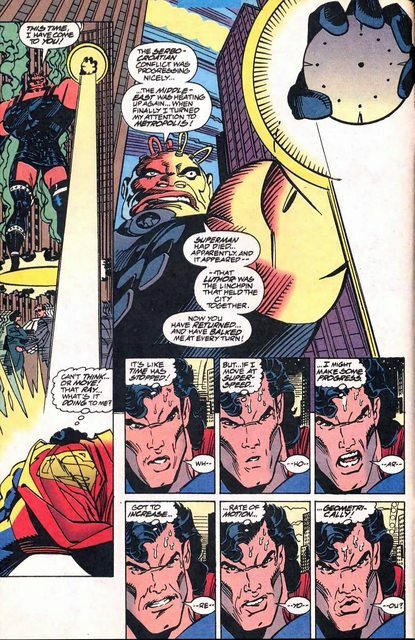 That Superman scene definitely seems like comic hyperbole. Granted, it’s canon hyperbole, but that doesn’t really change things. A nano second is starting to get rather crazy but lets say that he is that fast. That doesn’t stop Luffy from creaming him in close quarters combat now does it? Superman wouldn’t be able to react to Luffy’s intense flurry of blows. It would just be too much for him and I say that as a big Superman fan. He simply isn’t quite as good in a fight. 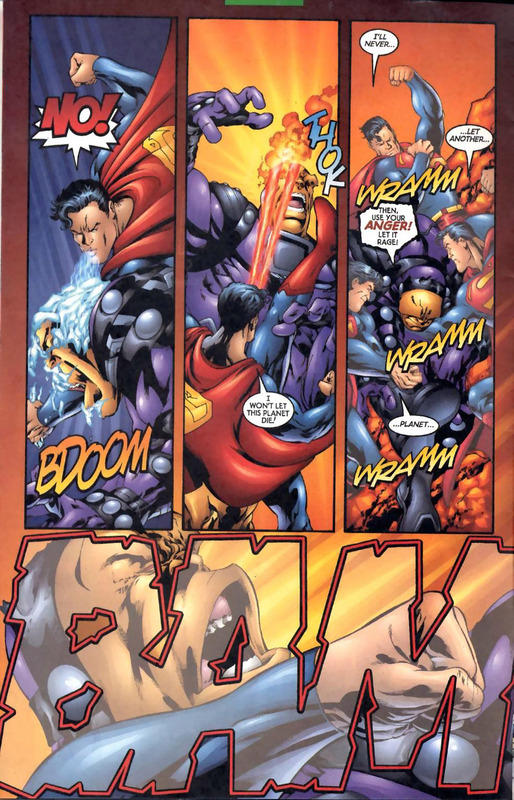 Superman can’t react in time to stop any of the faster foes. Luffy can and that is why he would win this fight. he reacted to the speed of characters such as flash,professor zoom , monarch, barrey alan characters that are much faster than light, and luffy is at max hypersonic + level. At least I’m using both assumptions and fallacies instead of just picking one or the other. 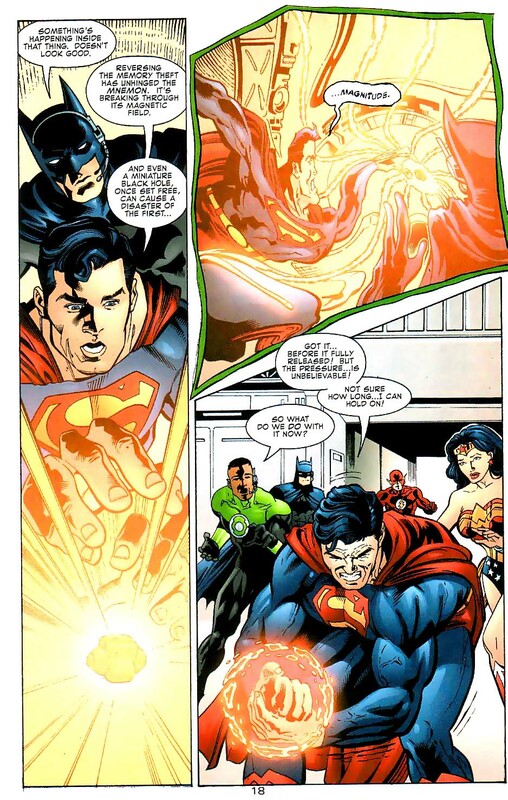 Lets face it, Superman’s not nanosecond material even if he acts like it at times. I’m not saying cartoon Supermanis the best because he’s excited. I’m saying that he’s the best because he is the best. We’ve seen him actually use his speed in practical settings. 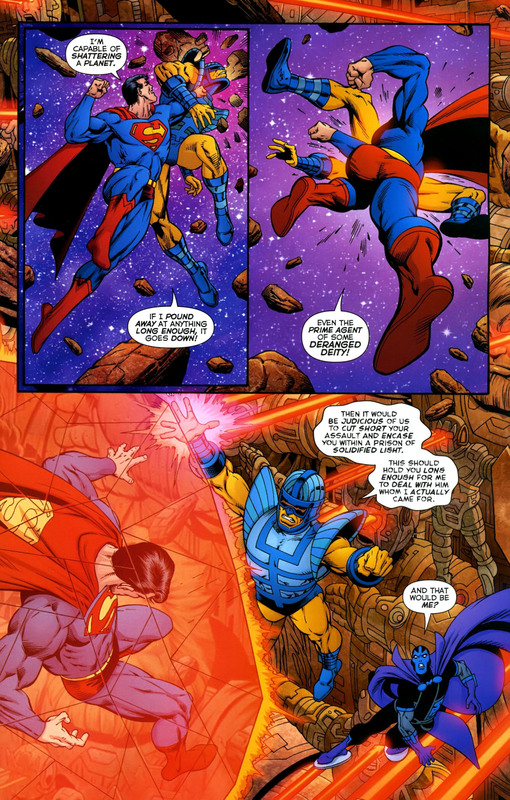 He still gets beaten up by rather slow opponents but for the most part this version of Superman is not messing around. He is here to win and that’s what I like about the portrayal. He’s just a whole lot more impressive. if it really is not nanosecond then why sometimes it reacted in nanoseconds when it saved the anti matter babe? 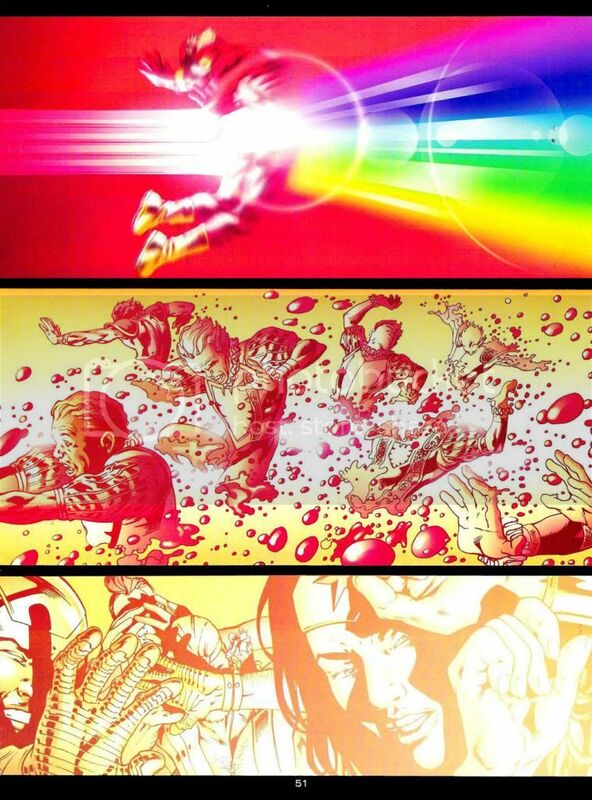 furthermore if the superman is not attosecond, how did he accelerate his perceptions to be able to keep up with the flash? and why one of his authors said that he could speed up his perceptions to see everything in attoseconds if he could not do it? “I’m not saying Superman is the best because he’s excited.I’m saying he’s the best because he’s the best.We’ve seen him really use his speed in practical environments.He is still beaten by slow opponents but “I’m not sure if I’m going to be able to do it,” he said. 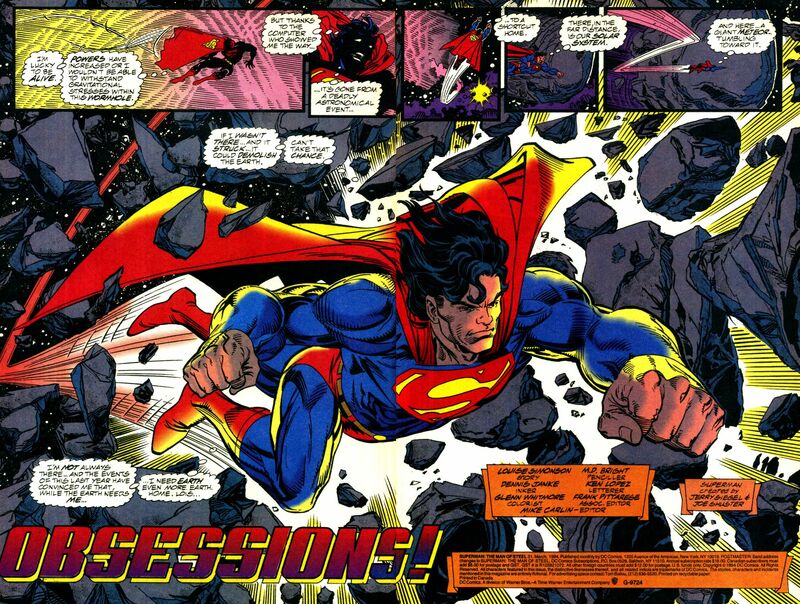 “He still gets beaten up by rather slow opponents but for the most part this version of Superman is not messing around. but, let’s just remind you that luffy also does not take advantage of this, as it was also hit by slow enemies, ah yeah, that’s the cartoon superman (which is not canonical). but he is very weak when compared to the comic book superman. That’s true. 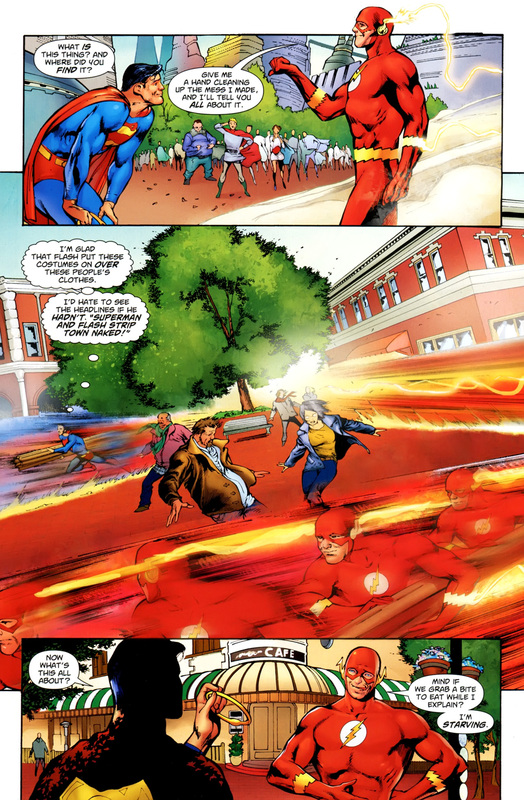 Still, Luffy can keep up with Superman in speed. I’d like to see Superman try to deal with someone like Rob Lucci. That’s false. 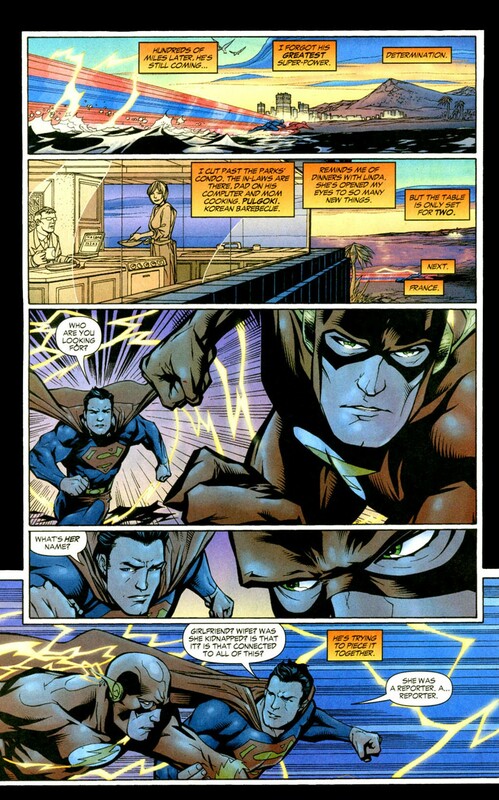 In the cartoons Superman is able to move so fast that guys like the Flash have a hard time hitting him. We see him in motion and he proves his speed. I’d like to see the comic Superman do this. 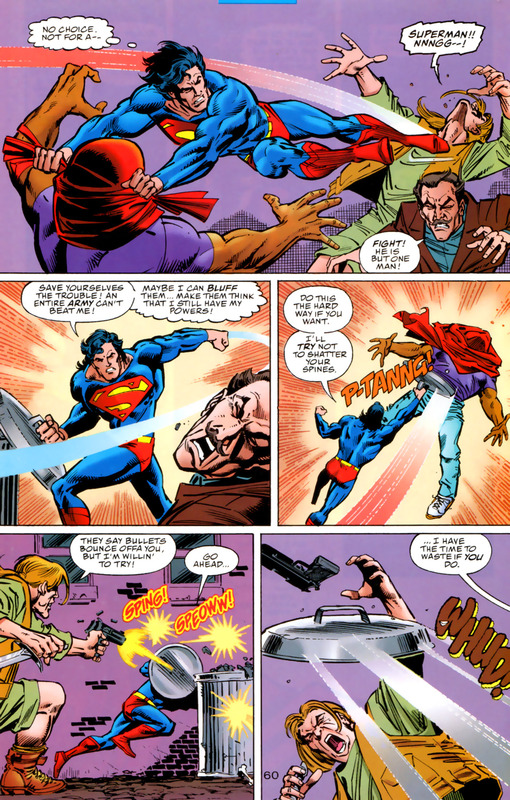 Superman has lost to bank robbers in the past, lets not forget that. I’d like to see something like that happen to Luffy. 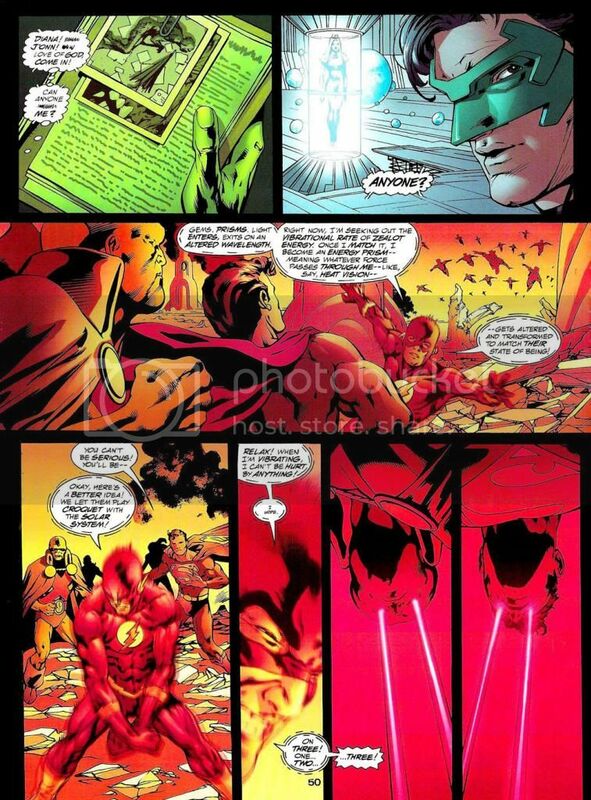 and that’s just because he did not let the flash hit him in cartoons, it does not mean he can not do it in comics, in addition superman has already made things much more impressive in comics. 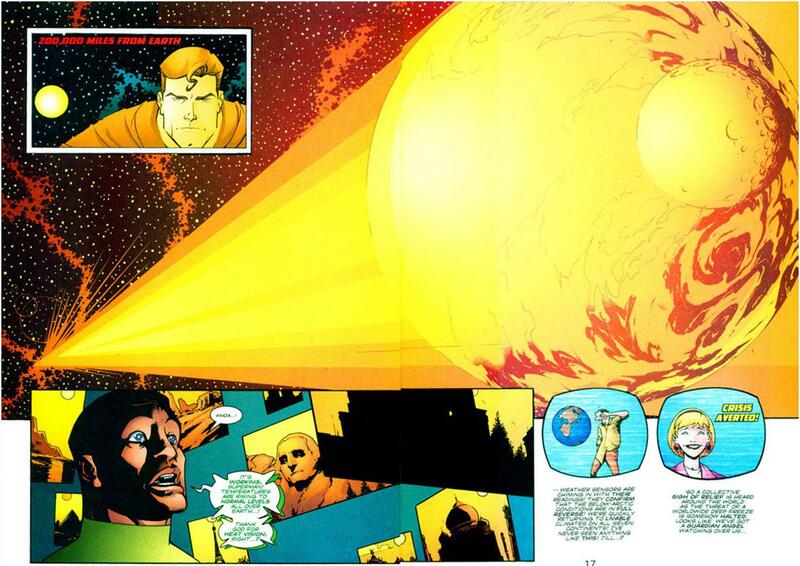 and Superman’s reality blitzing missile feat according to this http://www.narutoforums.com/xfa-blog-entry/reality-blitzing-missiles-revised.35590/ is at least 5.2596E19c or 52 quintillion times the speed of light. plus you mentioned the fact that the TV PROGRAMS superman has lost bank robbers, but that becomes totally irrelevant when we consider that this is not canonical, without saying that this is something totally out of context, and honest debaters would not consider things out of context, which of course is not your case. you often indulge everything I’ve shown you, use non-canonical fonts like cartoons, use things out of context, and if you are going to use things out of context I would use the fact that you have already been hurt by a slap of nami and magma . There isn’t much context to be had there. I am as honest a debater as you will ever find so if I say something then it must be true. 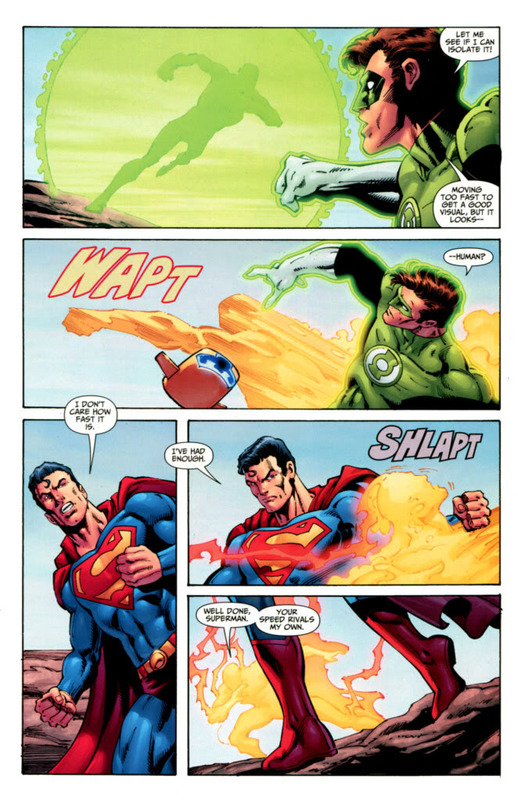 Lets just face the facts, Superman loses a lot of the time. if it does not even have a context, then it does not even deserve to be mentioned, this situation is irrelevant just for the simple fact that it is not canonical and out of context, and superman wins others and loses some, just like any other character (including Luffy). The moment you mentioned is not even canonical. 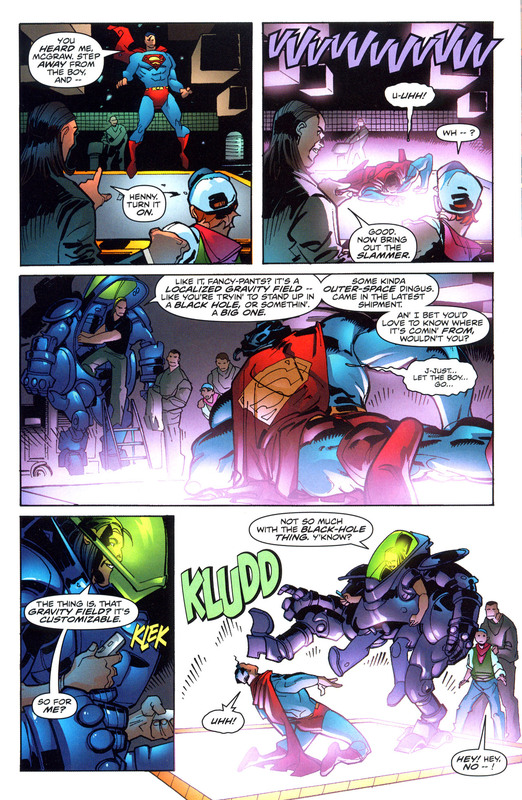 Being canonical doesn’t matter much so long as the scene felt important though. I think the scene had a lot of weight behind it so it deserved to get mentioned. It’s also a serious moment and not played for laughs or anything so we have to take it into consideration. Completely different though. One scene was comedy, the other was serious. An attack is a whole different can of worms though. When you’re attacked it makes the effect a whole lot more lethal. 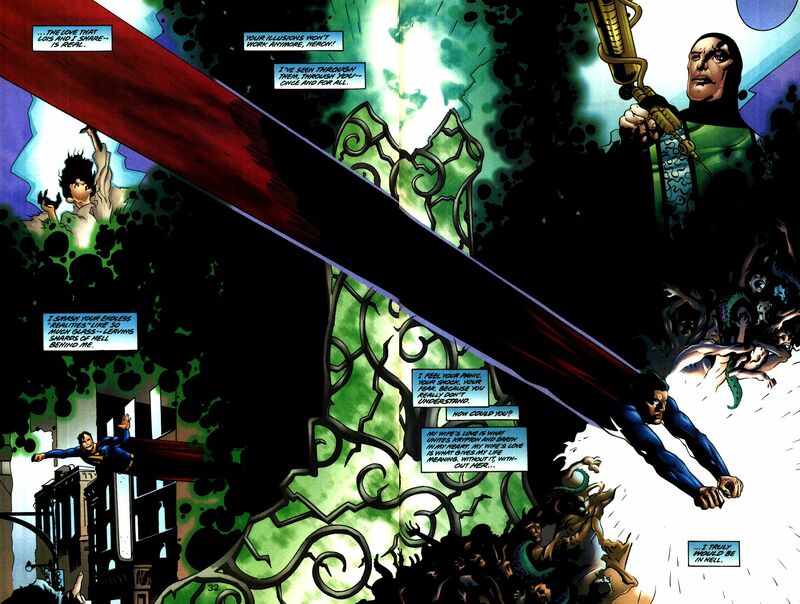 he has faced characters that can destroy the multiverse and the rest of existence, lifted infinite weight. the scans I sent are not very good at what they are going for. 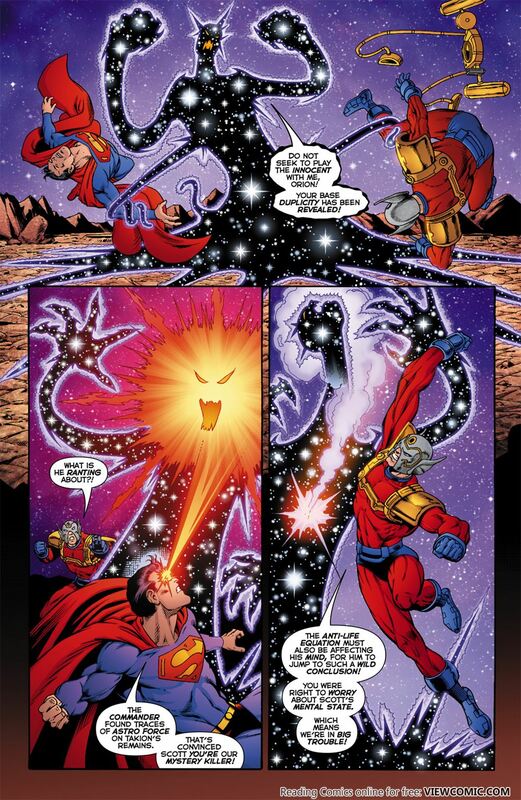 In JLA: Heaven’s Ladder #1, Superman tanks an attack from the Quantum Zealot, an evil Quantum Mechanic, even when the Quantum Zealot, a being who has obtained the Power of Creation, has him in his hands during the attack. 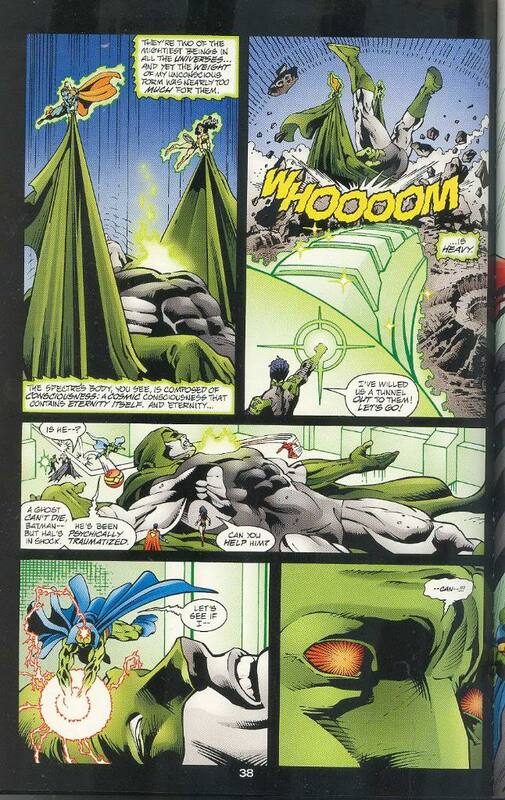 Afterwards, even in Superman’s bad condition, he manages to get up and push Quantum Zealot inside the machine. It’s a good attempt first of all and second of all, we have to consider the fact that in combat Luffy really gives it his all. He’s not about to go down without a fight and that’s what I like about the little guy. He has passion and may as well be weilding a Kryptonite bat with all of the damage he will be dealing Superman. Superman’s been damaged by block busters like Batman. He’s taken shots from just about everybody over the years and they’ve hurt him. Luffy would be able to do the same thing and with ease because he is a rubber man. Taking him down will not be easy by any stretch of the imagination. Superman will just need to try and dodge as much as he can, but again, the man doesn’t have the reaction times necessary to pull such a thing off. characters that are capable of destroying virtually the entire existence, and luffy even in gear 4 does not surpass city + level. you definitely do not know the difference of usopp, dogtooth, kuro with characters like darkseid, anti-monitor, infinity man and s’vaa. 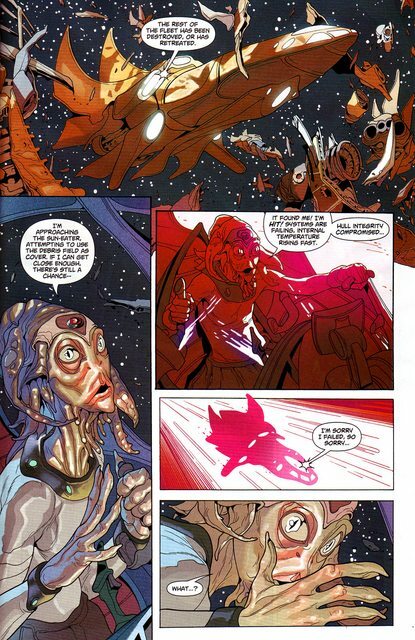 Everything is canon before that even if it was retconned. Batman’s beaten Superman many times. Kryptonite or not it’s still valid. You’re just wildly underestimating Luffy here so I’m not sure how to build up his cred with you. The guy is the captain of the Strawhats!! How is that not more of a big deal? He’s withstood punishment that would leave most characters in tears. Luffy’s beaten up more incredible threats than I would dare count. Lets just face the facts here, Luffy is one of the strongest fighters out there. Superman may have the feats, but Luffy has the more practical applications and showings to back him up. 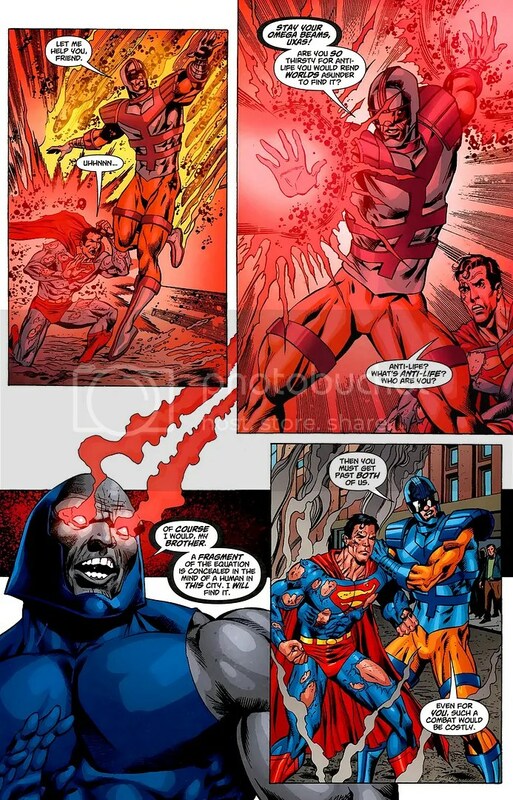 Batman has always defeated superman because he has always explored the superman’s weakness as kripitonite and red sun, because he knows very well that if he tries to face the superman without it, he would be very bad. “You’re just wildly underestimating Luffy here, I’m not sure how to build up his cred with you.” The guy is the captain of the Strawhats! 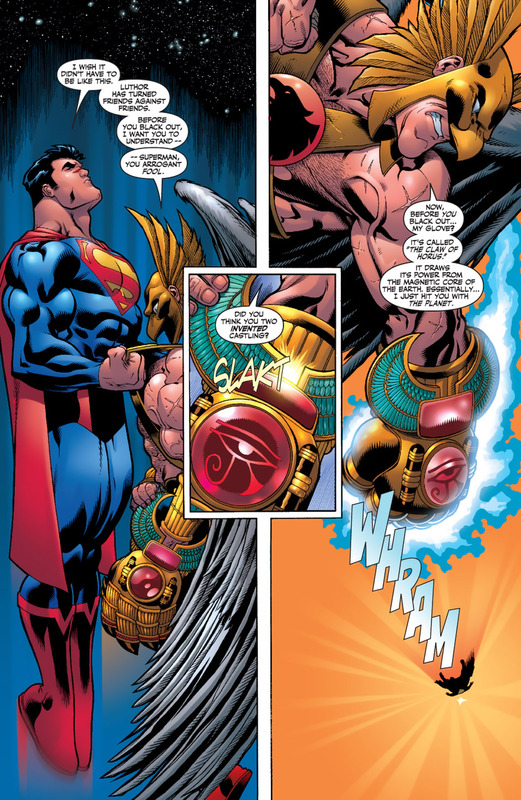 and superman faced even more incredible threats like anti-monitors, darkseid, dominus, s’ivaa, and you have not proven that the threats that luffy faced are more powerful than the superman’s enemies. 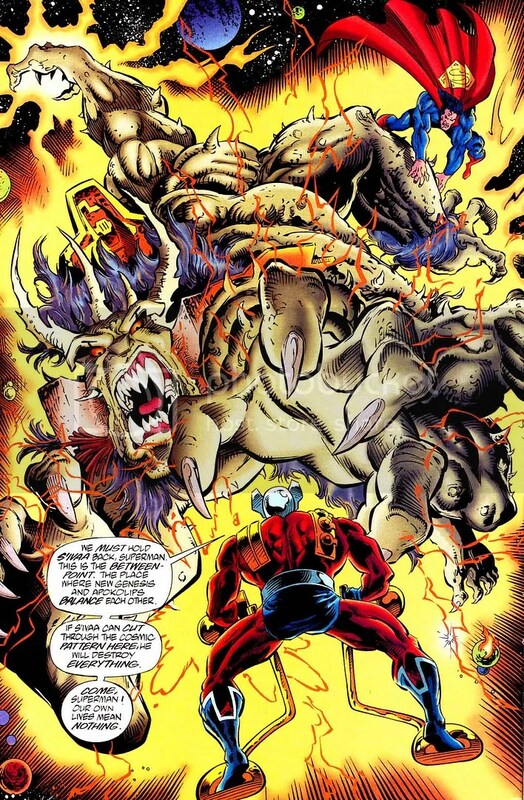 Luffy has no feats of strength and speed and durability to deal with the superman, he may even have faced powerful enemies in his universe, but they are all at the most capable of destroying mountains and cities, since the superman has endured multiversals like anti-monitor, darkseid, dominus, infnity man. Weaknesses are completely legitimate though. I will definitely be listing feats in the next comment that I’m currently writing. Blabbering is certainly more fun though. the greatest feat of luffy’s durability, as striking as it is, does not compare with those of superman. Are you sure though? I get your point though. My goodness, this thread just keeps on giving. I will go with Superman over Luffy in most instances, I’m afraid.